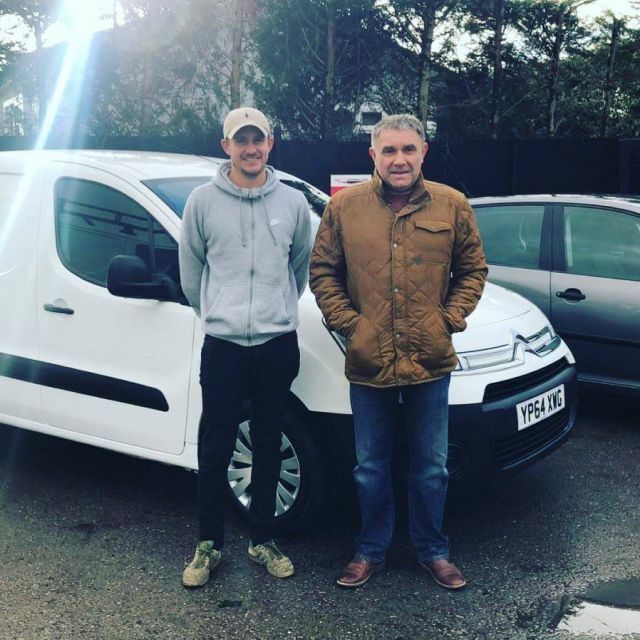 22/12/2018 The guys were a delight to do business with, the van was as described and competitively priced. We drove all the way from North Devon,and were left feeling it was definitely worth it!! We would recommend the young salesman... he was never pushy,very pleasant and made us excellent drinks. All in all we would recommend Van National.com. 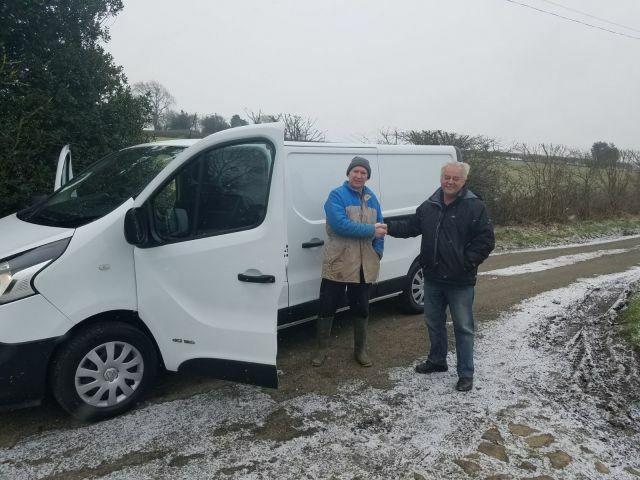 Made purchase of new van very easy. The van was exactly as described if not better. 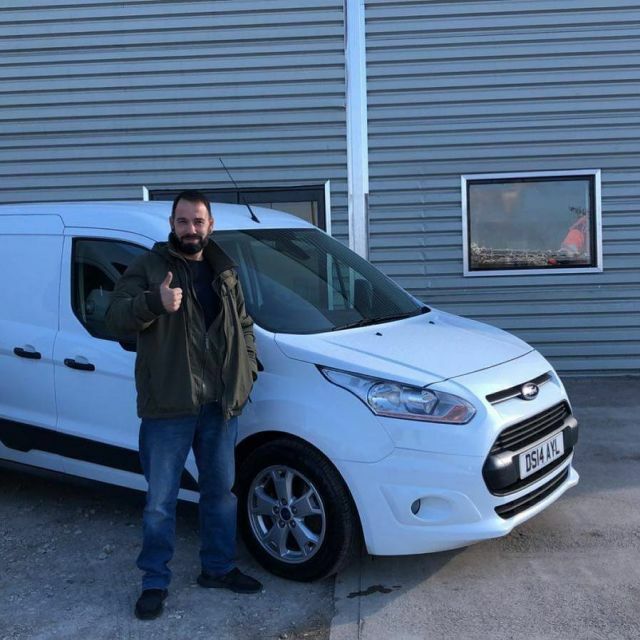 Dave was a pleasure to deal with, and the van was delivered on time . Very happy. Would definitely recommend. Needed a good clean usable van with no problem or hassle. Dave is humerus quick efficient and did the deal. Thank you. 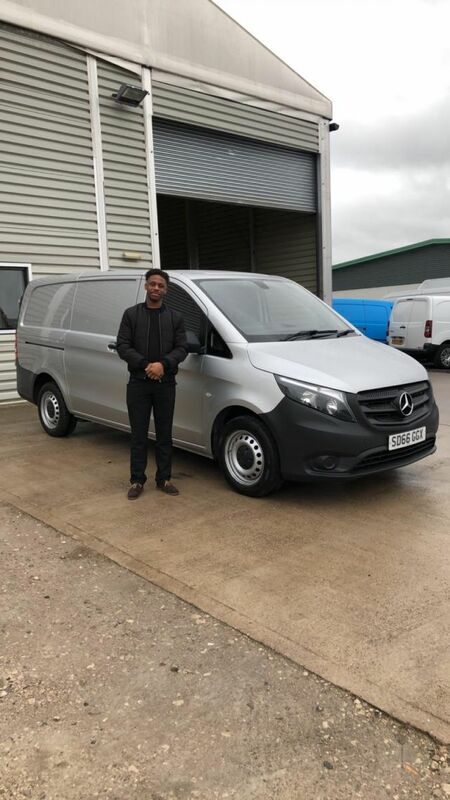 A very professional and friendly service, I didnâ€™t feel pressured into making any decisions and all the vehicles I looked are was in top condition. My old van was getting on a bit, well passed its â€œsell by dateâ€ with too many un-economical jobs needed to pass its MOT. I thought what to do, buy another very old van to last two or three years again? So whilst looking what was advertised I discovered Van National and they were also local to me. I went to visit them on a Sunday afternoon and was impressed with the choice of quality vans in stock. 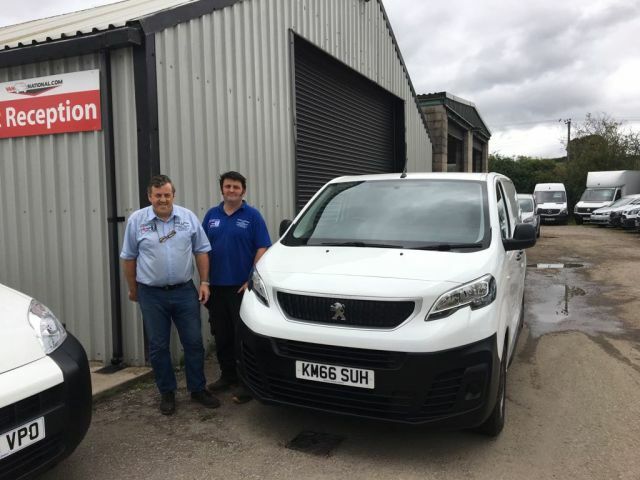 I chose a 2017 Peugeot Partner at an excellent price, low mileage and ready for work. 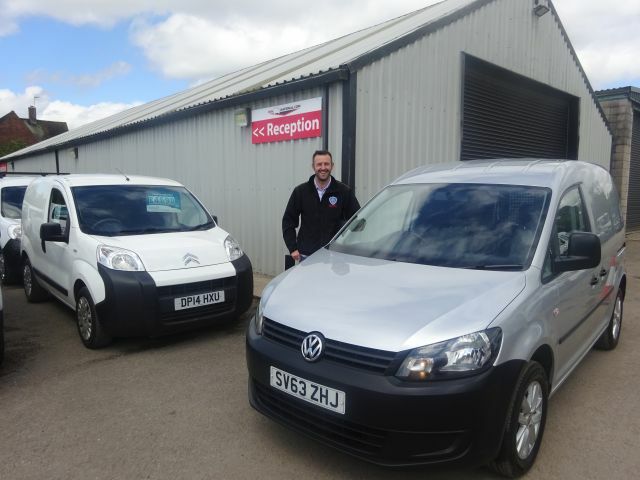 A pleasant transaction made easy by the Van National Sales Team, without any pressure. The van came with a pre-delivery service and inspection. 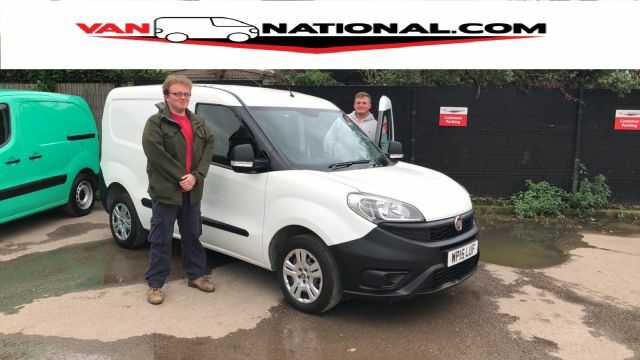 I certainly would recommend you see what Van National has available in stock when needing a van. Very good deal.staff are friendly and very experienced in dealing with your needs. 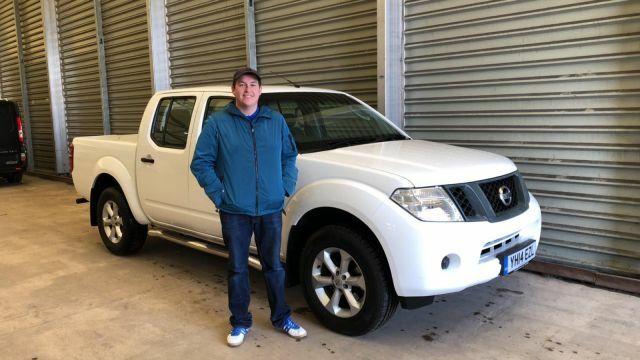 If all car dealerships and van dealerships were as good and helpful as VAN NATIONAL then people would part exchange and change there vehicles on a regular basis and be very happy. Great company highly recommend. 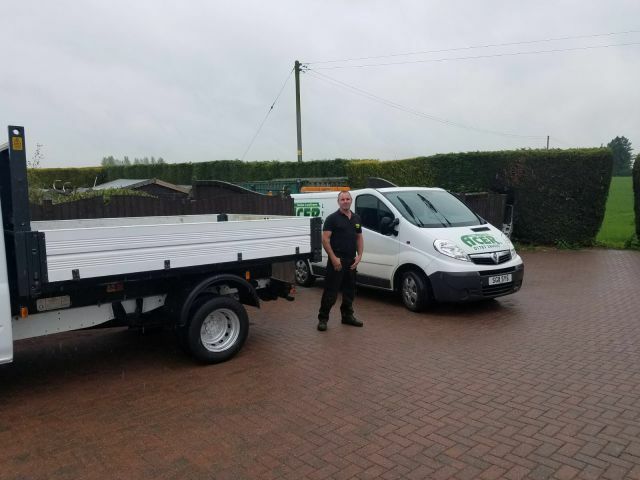 Excellent service, given the keys for a good length test run & given plenty of time to view the van without any pressure, van was prepped to a very high standard on collection, a very professional service. Thanks to Dave & all at van national. Professional and courteous, no pressure salesman. Went out of the way to make the experience simple and the least disruptive to my work load , would definitely use them again . Genuine, easy to deal with and a great selection of vehicles. Definitely recommended and we will use again. Outstanding customer service. Friendly extremely helpful. Would recommend to anyone. Will definitely go back. Thank you David . Great friendly service and would definitely use Van National again. Excellent service - helpful and professional. Nothing too much trouble. Definitely recommend. All I can say is go and buy a van from these people. they are pleasant, professional and have a great range of clean ready to go stock. 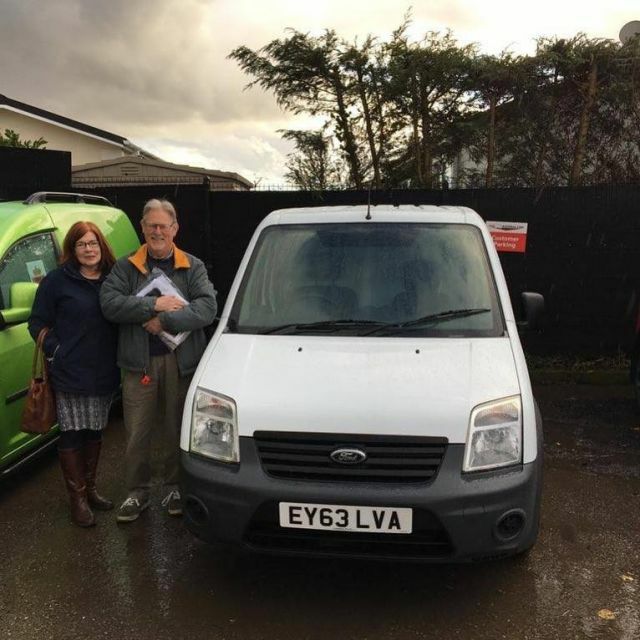 Our 15 plate Transit was excellently prepped and presented. 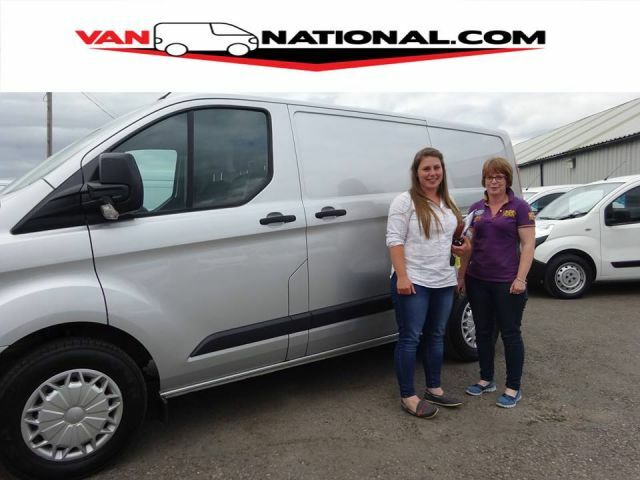 Cant fault them and we would definitely buy another van from them..
Great service from Van National. 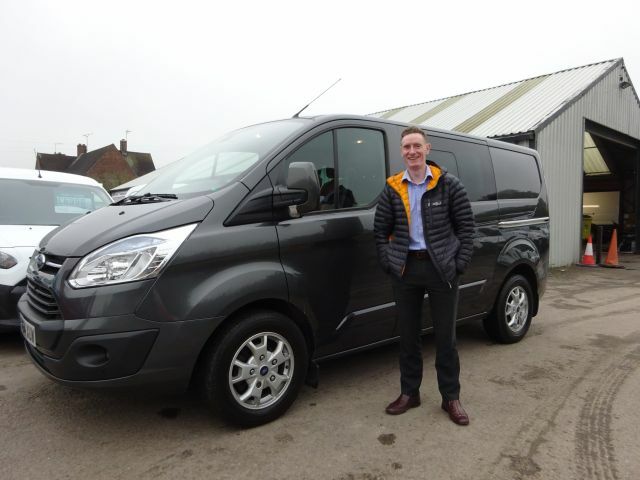 Drew was especially helpful from leaving us to browse without any pressure right through to waving us off in our new transit. Explained everything clearly - very efficient service all round. Quick, simple, easy and extremely friendly. Some of the best customer service I have ever experienced. 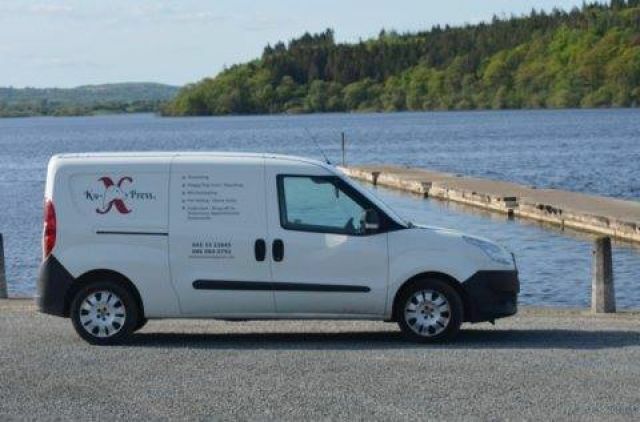 I would recommend them as a 1st choice to anyone and they are worth the travelling, completely honest in the van you are buying and they offer you enough coffee to sink the titanic, spot on lads. Trouble free Experience. Staff even delivered vehicle to my home. Highly recommended. 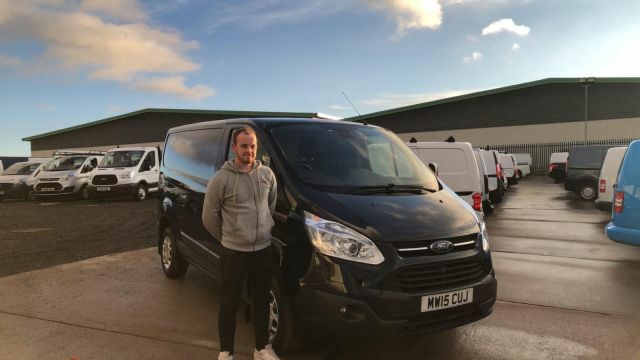 Happy and very helpful staff,I would recommend then I will definitely be using them again for a new van ,local to me and good prices ,plus all vans are turned out to a good standard. Excellent from start to finish! I was allowed to look around and test drive freely without feeling pressured. 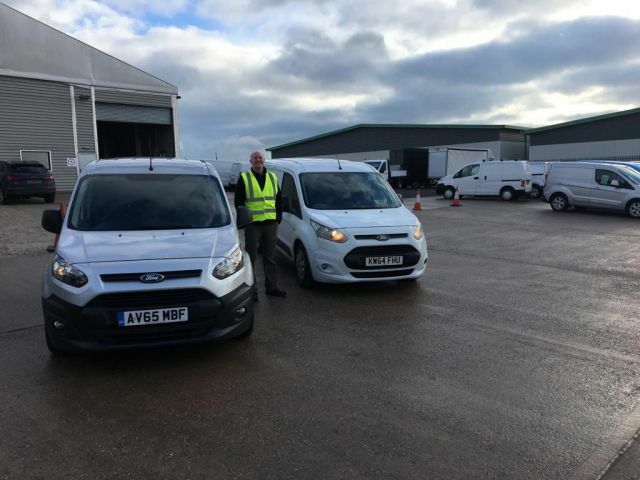 I tested two vans which were both immaculately presented. 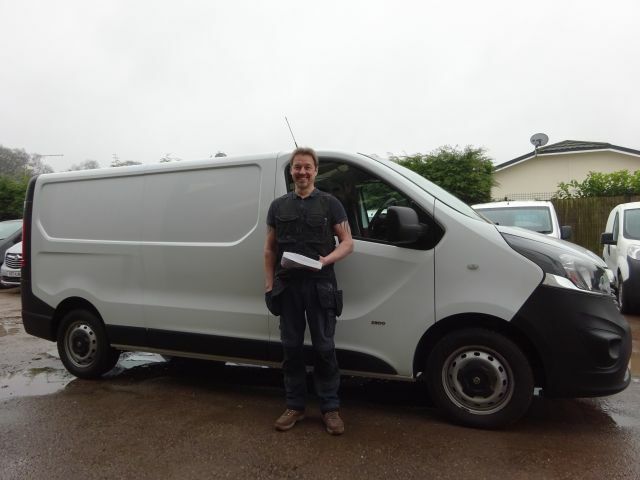 The transaction was dealt with quickly and van was delivered to my door at a time convenient to me as agreed. Excellent, professional and no pressure! 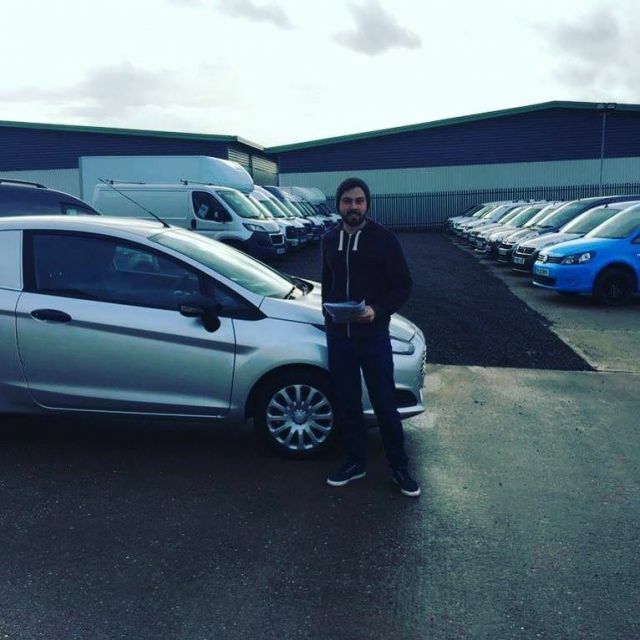 By Matt T 18/09/2018 Fantastic service provided from start to finish! Visited with the intention of just having a look around, but after seeing the quality of the vehicles on the forecourt, I knew that this was the place to buy from. All their vehicles are well presented, clearly maintained to a high standard and priced extremely competitively. 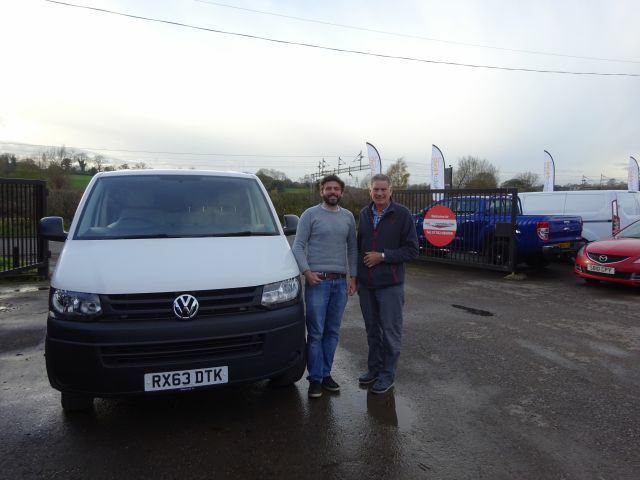 Stephen from Curry and Bevans bought a van from Van National recently. They said they can highly recommend Van National and will definitely be using them in future. 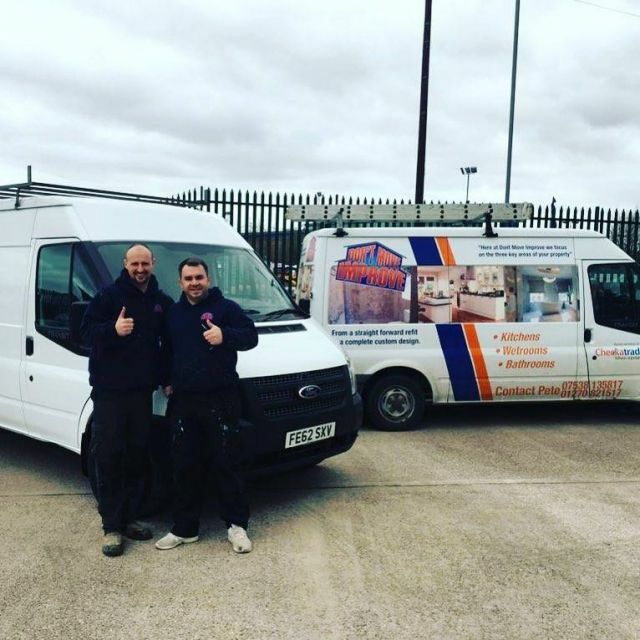 Brought a nice van from van national , everything dealt with in a professional manner, would recommend anyone to go and buy from theses guys. 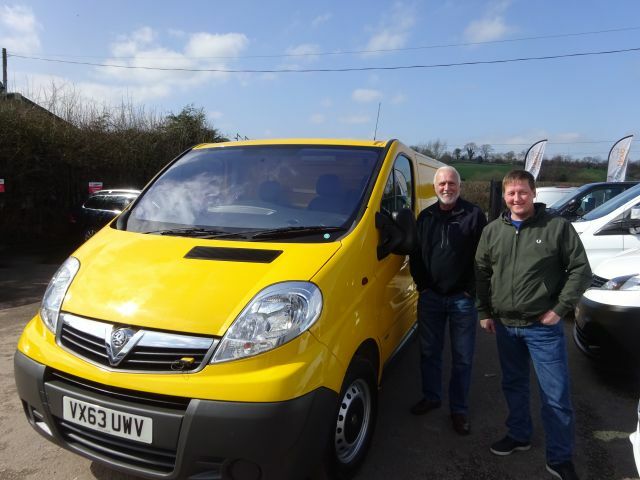 Bob and Stephen from Curry and Bevans bought a van from Van National recently. They said they can highly recommend Van National and will definitely be using them in future. Very help full and friendly team of people, tried to accommodate my needs rather than push for selling expensive vehicles. Would always go back to change my vehicles. An excellent company to deal with, fair straightforward friendly and value for money. Also delivered to my door in the North of Scotland. Thanks David & Phil. Visited Van National last week after chatting to Dave on the phone. We needed to replace our existing vehicle asap. 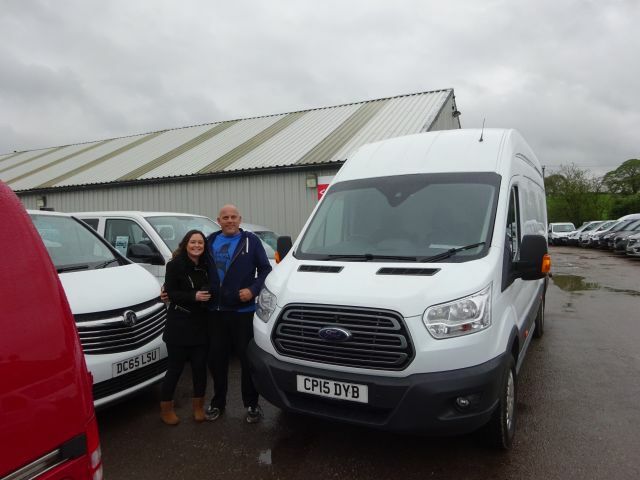 We were given the keys to a couple of vans, no pressure to buy at all. 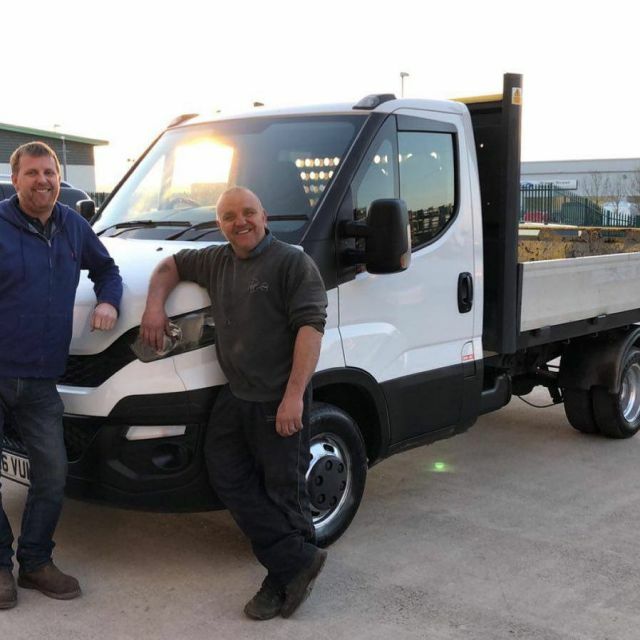 They even brought back a third van back from their workshop for us to look round and take for a test drive. Signed on the dotted line there & then. The van was delivered to us (over an hour away) the following morning. Excellent service all round! Professionally sound. 10 out of 10. 24/07/2018 Andrew W Van national. Say no more!from step one of enquiries of crew cab tipper. They were so helpfull and boy did I annoy them on ringing about this van.from picking the van up the paper work was professionally done. The crew cab was immaculate inside and outside. Drives perfectly. 100% van national. 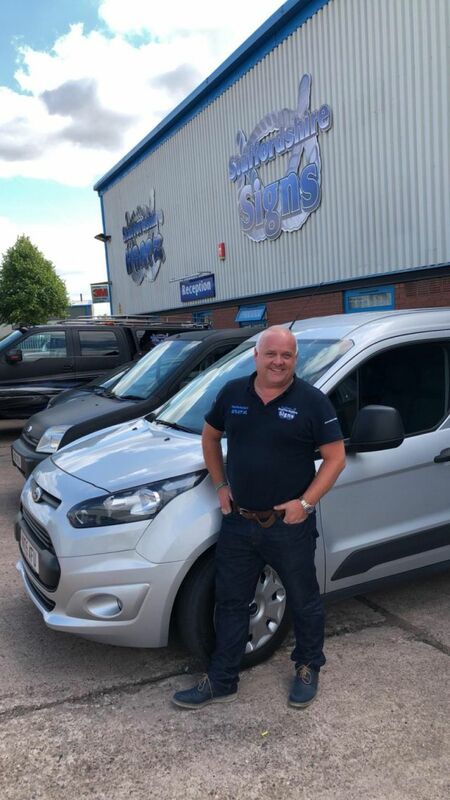 Dropped in this morning to view 3 different vans no pushy sales pitch at all was given the keys and told to take my time and pop in when am done! Ended up driving away in 3 hours later. 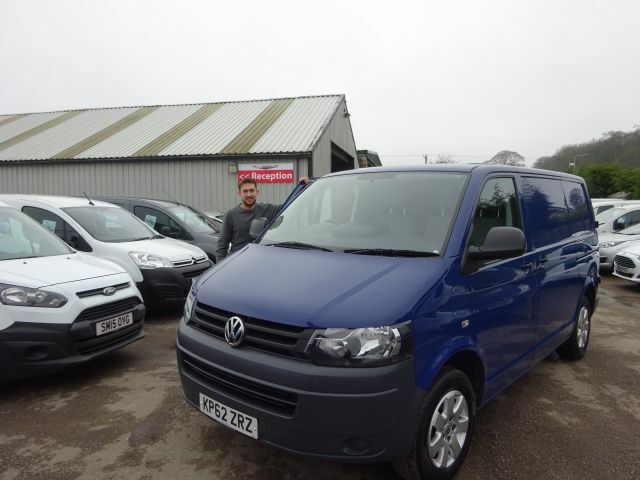 Just bought a '14 VW Transporter from the guys at Van National, and the experience was great from start to finish! 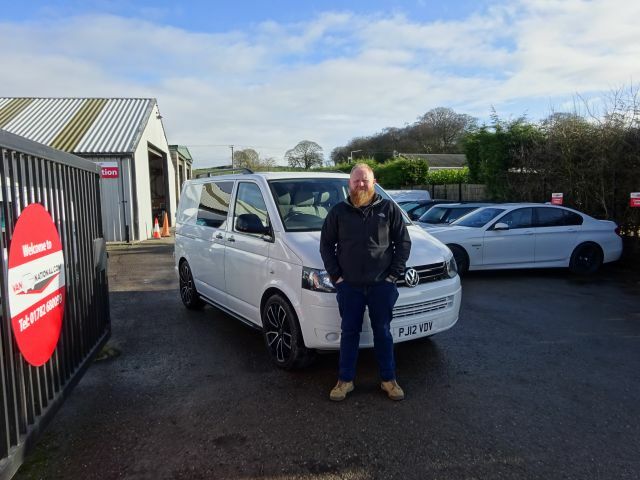 After firing over initial enquiry they responded within the hour, gave me the fair market price for my part ex and provided answers to all the questions I had on the VW. During the week, as I was looking at a couple of other vehicles, they werenâ€™t pushy but kept in contact via email to see where I was up to. 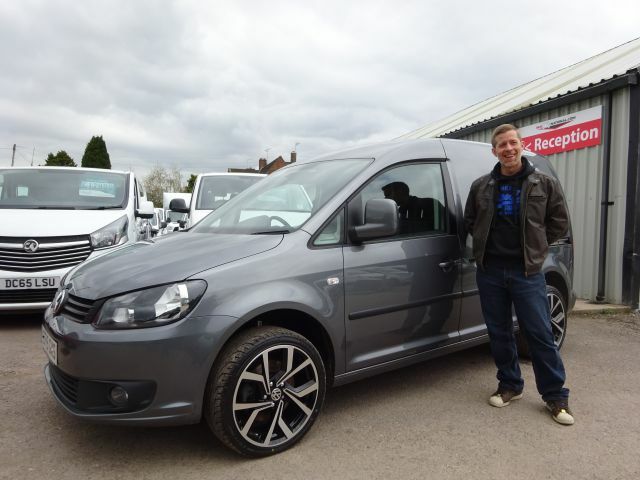 Once the deal was done, they provided a couple of recommendations for insurers for modified VWs and got the van re MOTâ€™d. 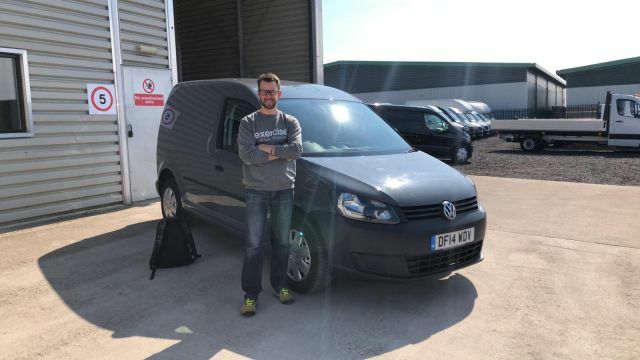 Part ex and purchase was slick and simple, and done within an hour - inc test driving the van. 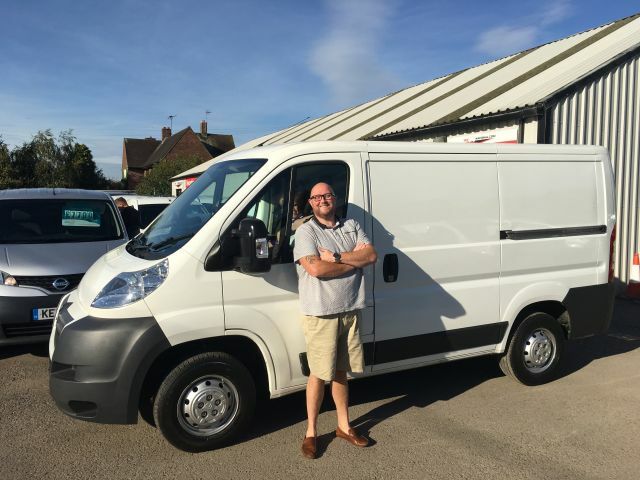 They honoured the price quoted for the part-ex (there was no trying to barter me down), whilst I test drove the van by myself. All paper work was ready, it had been cleaned and was ready to roll with a 12month warranty. 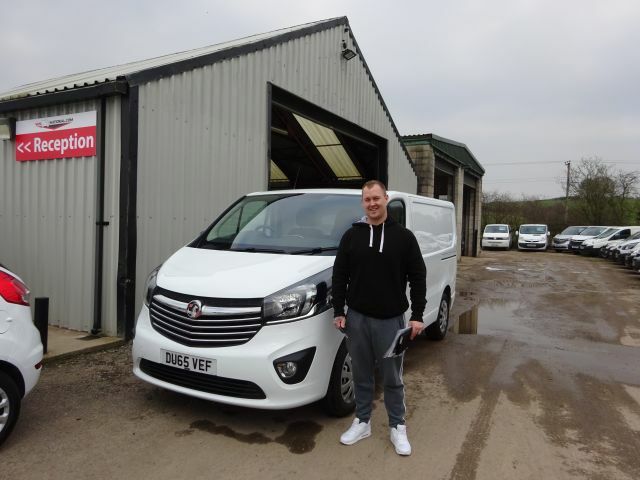 I highly recommend Van National, both from a quality of vehicles but also for their great customer service! 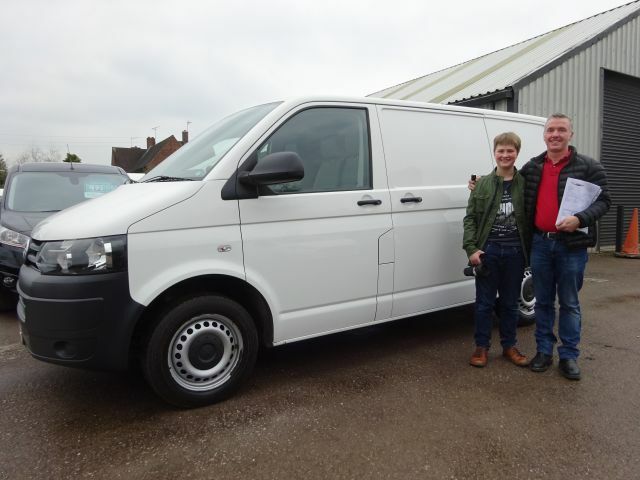 We've just picked up our new VW Transporter from Van National - and it is awesome. 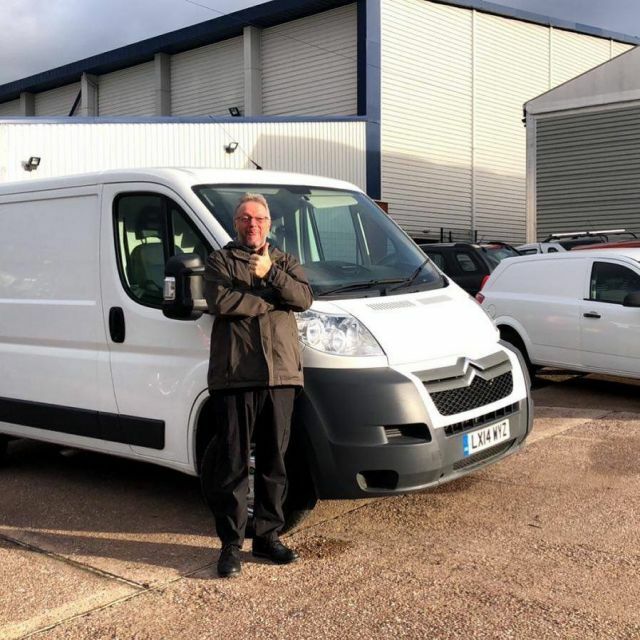 From start to finish, really easy to do business with, no pushy sales and the van itself is in great condition. Can't recommend them highly enough. Cheers Drew - you made my husband's weekend when he came home in the van... he still hasn't stopped smiling! Well worth the travel down the M6. Absolute first class service from Van National. Seamless transaction and The chap I dealt with is very professional in all his meetings and comms ....Thanks guys! 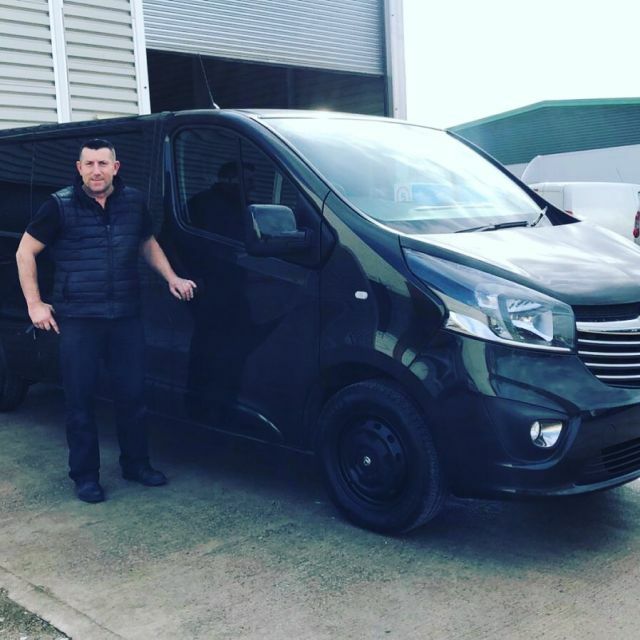 Just want to say thanks to the lads at Van National especially Dave for the help in buying my new van. Very professional people which made the experience stress free. Would highly recommend this dealership. Ill be back again for sure.. Fantastic friendly service from Start to finish. Great bunch of lads !!!!! great bunch of lads easy and smooth transaction would recomend these guys to anyone . A really good company. 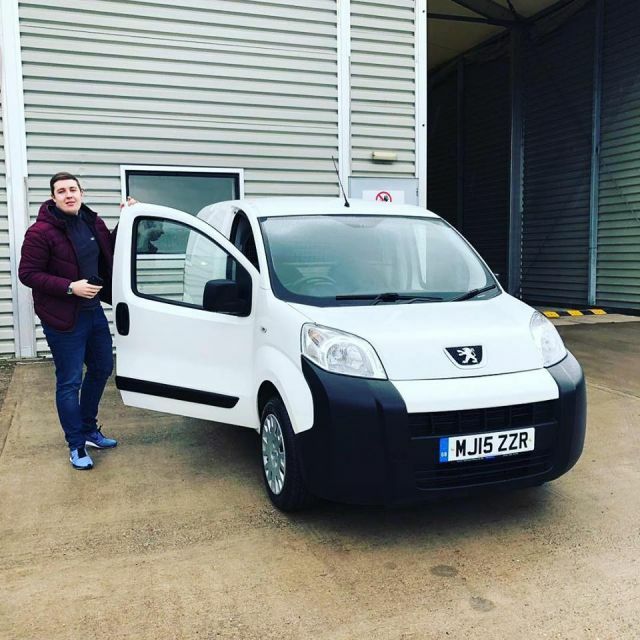 I had a budget and The team helped me get the van I really needed. No pressure throughout and really helpful. After sales service is very good. Iâ€™ve already recommended van national to a few friends. I love that if you see the van you want you can take it away that day. From start to finish I had drove to van national, traded in my van and drove out in my new one in just over 2 hours. I will surely go back to van national when I need another van. Extremely efficient and friendly. It was a pleasure to pick the van up in such good condition. We was really happy with our purchase. Very happy with the staff. All really helpful. Really good selection of vans thatâ€™s look amazing.telling every one that the place to go. They have a great selection of vans to choose from. Nothing is too much trouble for them. But best of all is the sales guy (apparently you canâ€™t mention his name on here) not a little bit pushy. Letâ€™s you make your own mind up but offers help when needed. Called in to look at a few L2H2 vans. They had a VX vivaro in there that was just outta my price range. Went in and spoke to David. Had a good chat, few phone calls later. Deal done and in my range. They had my 09 van off me and I'm driving a very nice 16 plate. He even took and fetched it back from the sign writers. I collected and worked straight out of it. Highly recommend Dave and the team. 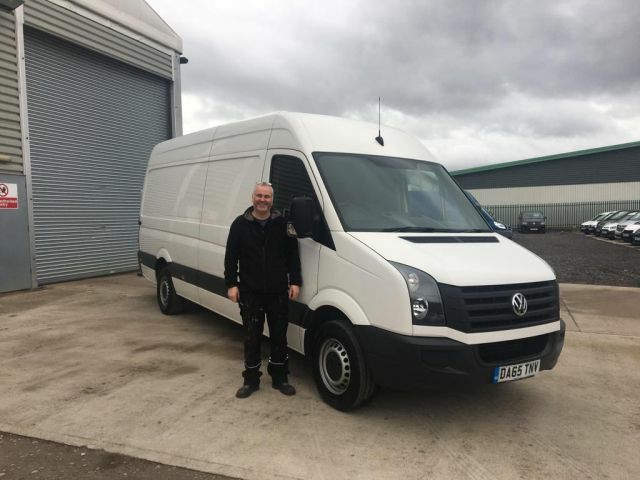 We spent a while searching for our new VW crafter, when we arrived at Van National there was no pushy sales and the team were on hand if we had any questions. They went the extra mile to ensure our new Van was the beast it is today. Thank you! 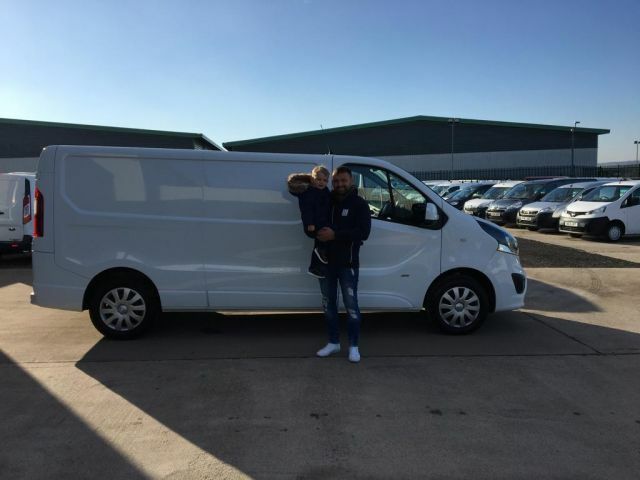 Great experience with the guys at van national Very good price's on all there vans Highly recommended ! I dropped in on the guys on my way back from Stafford Classic motorcycle show. What a refreshing change. None of the salesman bull that you get everywhere else. They want to supply you with what you want to buy not what they want to offload like other dealers I`ve been to. You can talk to them in a relaxed atmosphere and not feel as though you are on the back foot. 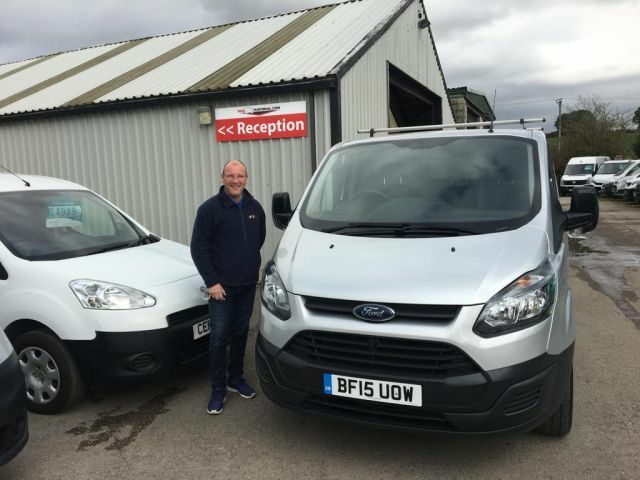 All of the vans are excellently presented, at good prices and they definitely go the extra mile with their preparation. I am well chuffed with my Peugeot Boxer and it was well worth the travelling from Blackpool to pick it up. Brilliant I would highly recommend a visit to the guys at Van National before you go anywhere else. Canâ€™t thank all the staff at Van National enough for all the help and great service with my new van purchase. Itâ€™s got to be the easiest vehicle purchase Iâ€™ve ever made. Thank you very much for everything this week. Youâ€™ve made the purchase a smooth and very easy process. Great service as well with the collection and I didnâ€™t catch his name but a top lad whoâ€™s a credit to van national. I look forward to seeing you again in a few years time for my next van. 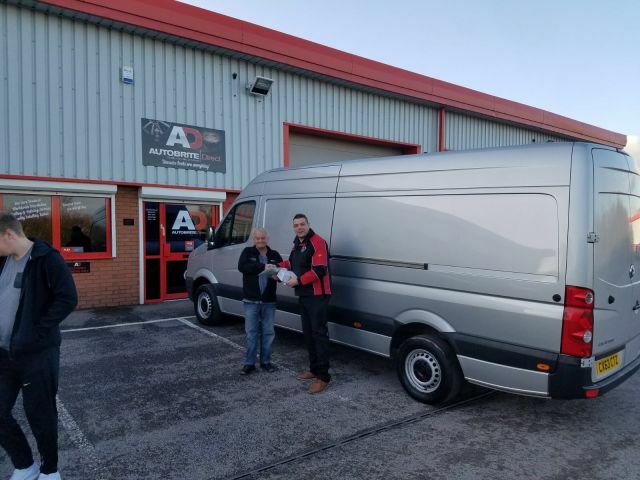 Just bought my new van from these guys from start to finish what a great service, I was left alone to browse and once I found what I wanted I was driving away with it within a hour thanks guys. 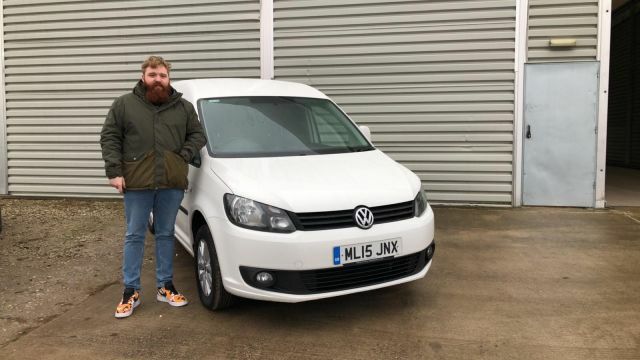 Iâ€™ve held off a few months before leaving a review as my previous history of buying vehicles has been terrible and I tend to pick the bad ones! Can honestly now say that the L200 warrior I purchased is fantastic! Great company to deal with, absolutely zero hassle from start to finish. Great price! I travelled quite a way to collect and when I arrived on collection day it was sat there shiny, gleaming and ready to go! Highly recommended! Purchased my new 2.0l Caddy from VanNational. 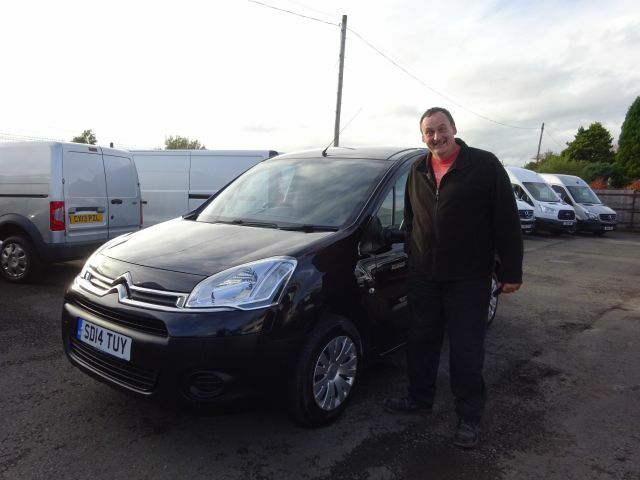 Phil was great to deal with and there was no salesman hassling. He even stopped open late on Saturday for us to come back for a second view. I would recommend them. 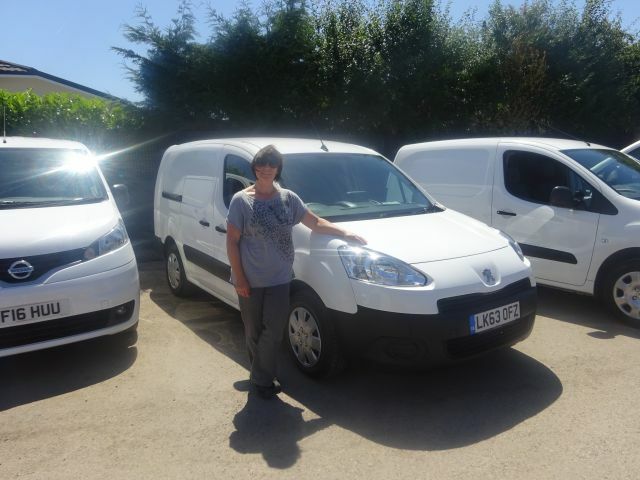 I am really pleased with my new van,it is in a very good condition in and out. Many thanks to all the staff,specially to Dave. 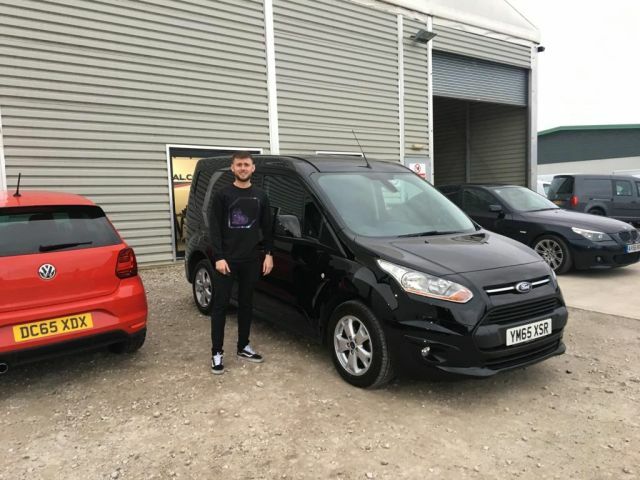 I got a mutual price for my Toyota RAV4 as part exchange for a transit connect, They were friendly and polite, not pushy as a salesman would be and I enjoyed purchasing my new van, top lads! 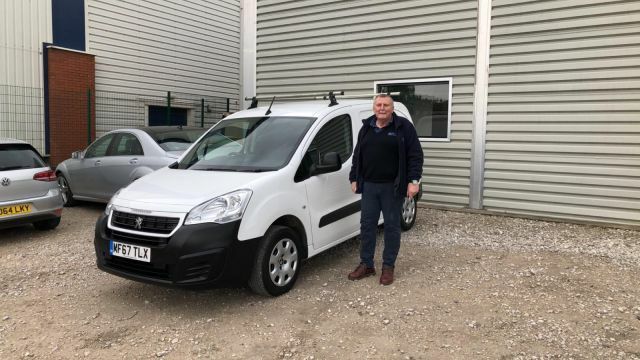 Very pleased with new van purchase, Didn't feel the normal car sale pressure, Phil was a Gent,Van delivered to me with in a few days as requested. Have already spoke about future van purchases. Highly Recommend as all Vehicles seemed very clean and in good order. Really helpful and friendly guys ,no pressure at all . 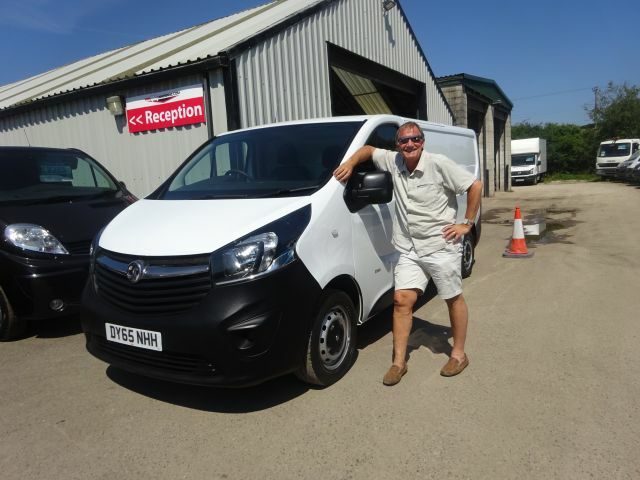 I would happily tell anybody who is looking for a van to visit vannational before going anywhere else for a vantastic experience. 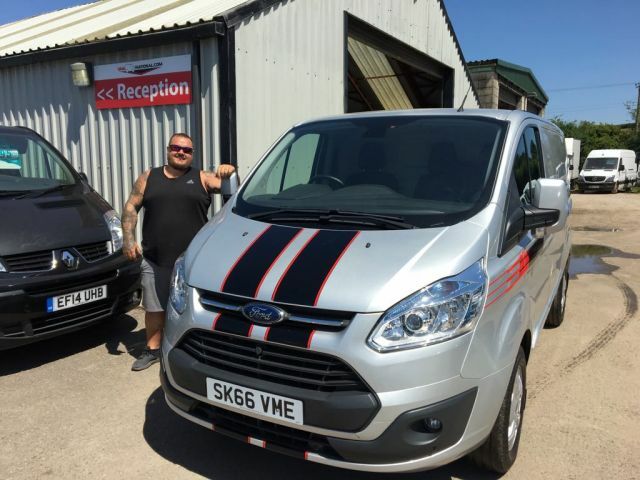 Excellent service from the guys at Van National last week when I purchased a Transit Custom from them. 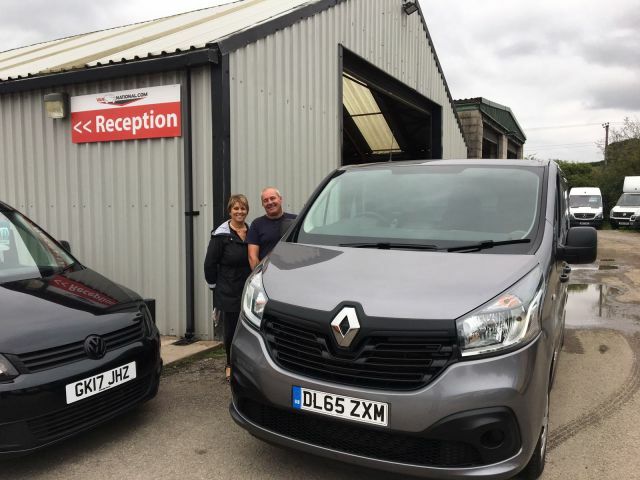 Real pleasure doing business with a friendly, relaxed yet professional crew who knew what they were talking about when it came to vans. I would highly recommend them and I would definitely use them again! 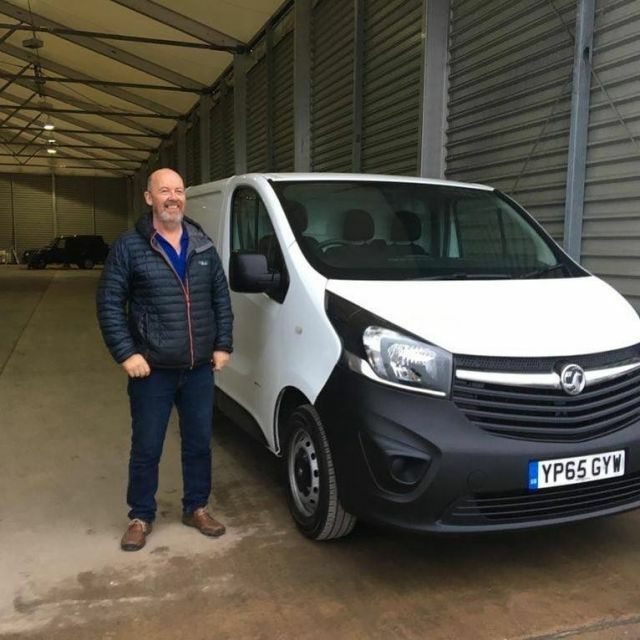 After my loyal van of ten years curled its toes up last week, I was stuck vanless, so I called Phil as I'd already been to the Van National site to look at vans with being local. 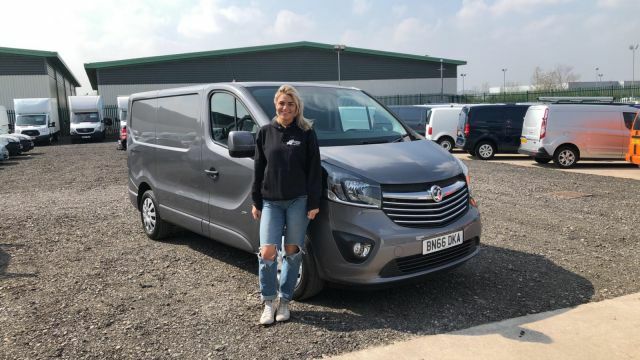 I purchased my new LWB Vivaro over the phone straight away as I knew the Van would be top class, as all their vans are beautifully presented and in fantastic condition. Low mileage and a pleasure to drive. Within around 3 hours of the original phone call, I was driving my new work toy home.........they even sent a driver to collect me from home. All in all, a top service and a great team of guys with no pushy sales or bull***t.
I'll definitely be dropping in on them when I'm ready to trade up again. Very pleasant and easy experience dealing with Dave at Van National. Very happy with my new van. Professional service offered here. Recently bought t5 after talking to Dave. On way home engine lights came on! Panic set in! Rang Dave and brought the van back, within a fiew hours it had been taken to the garage with the problem sorted and i was back on my way! Couldnt have been sorted in any better way! Great guys! 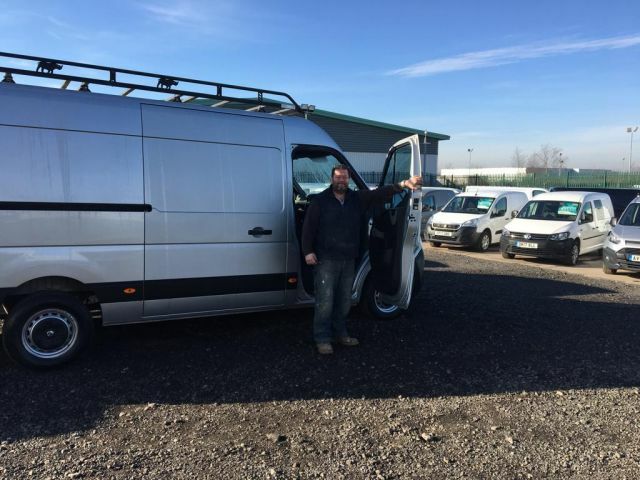 Excellent service from Van National, very professional from them and very easy for me. I would recommend Van national without hesitation. 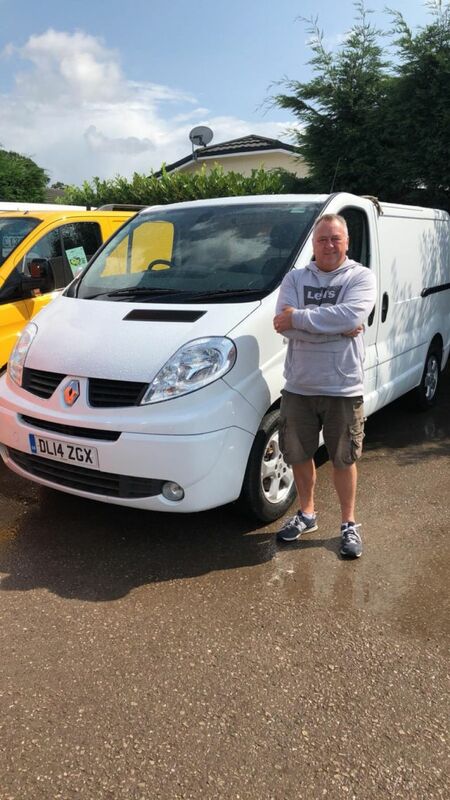 Good service great van would recommend and use again Ian Simpson"
Really happy with customer service at Van National. The VW Caddy I bought was very well turned out and is just my favourite thing ever!! 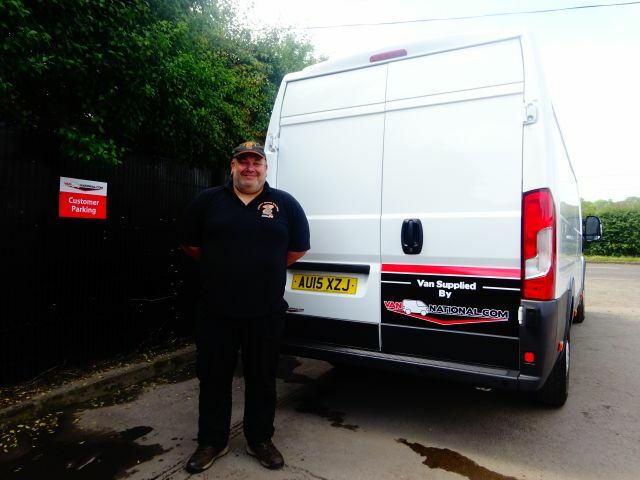 The guys are really sound and very helpful, big thanks to Dave â€“ Spot on! 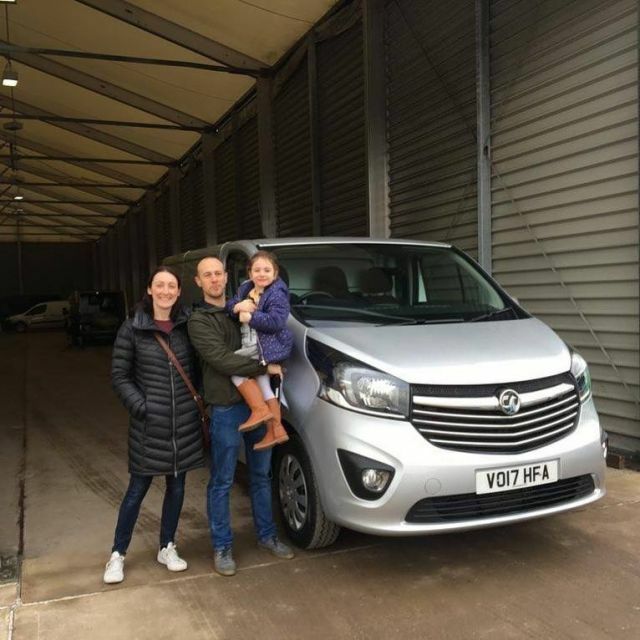 We went to Van National, even though they are 50 miles away from us, as they have a very wide range of excellent used vans and we wanted to look at various options. We were very pleased to find so many beautifully presented vans and we were spoiled for choice. 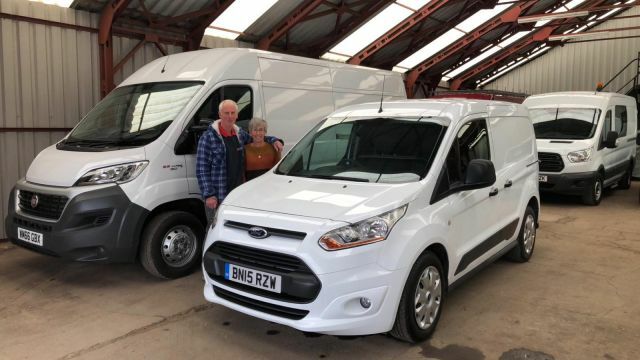 We looked at several different vans which we thought would be suitable for our particular needs, part business, part pleasure, and then took the well-informed advice of David who was very helpful. We bought our van and since have driven 2000 miles in it and are delighted with it and have obviously made the correct choice. One particularly noticeable thing about this company is the helpful, friendly staff who also make a good cup of tea! Our next van will be from Van National - we highly recommend them. Many thanks. 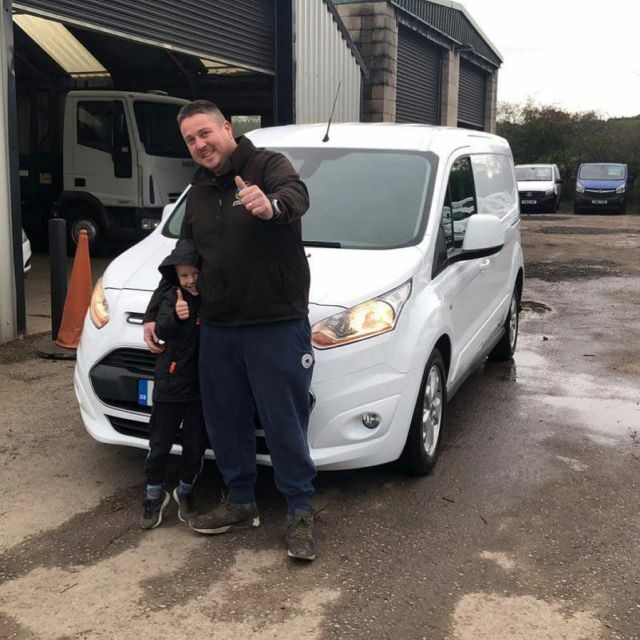 Absolutely first class service when buying my ford transit connect. 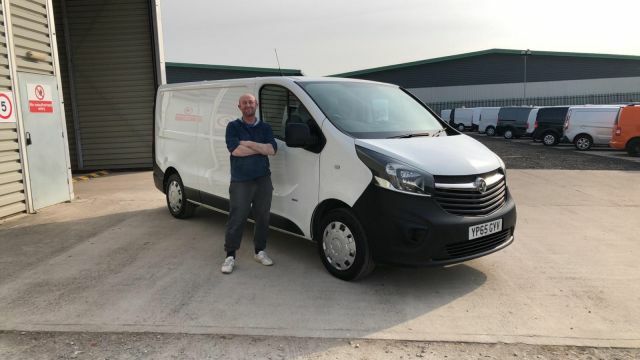 I can thoroughly recommend this company if you are looking for good quality used van or pickup. 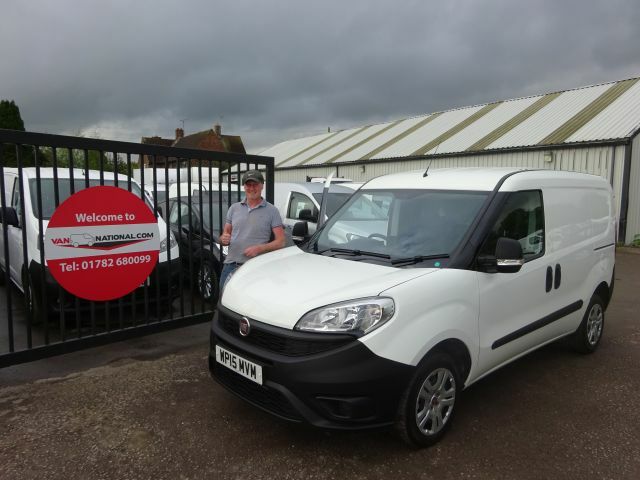 Saw a fiat doblo on the website which I was interested in. One phone call to Richard and I was looking at it within the hour. Nice site and very clean office ( first impressions and all that). Was shown the van and left to look at it with no pressure what so ever to make sure it was the van for me. 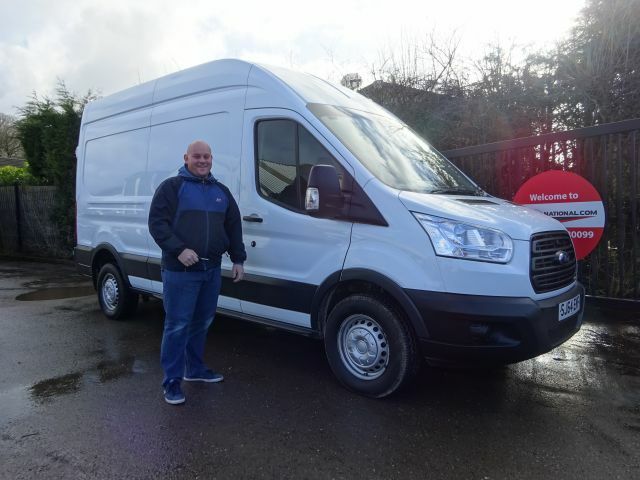 Bought it straight away with no hassle and had the van delivered. 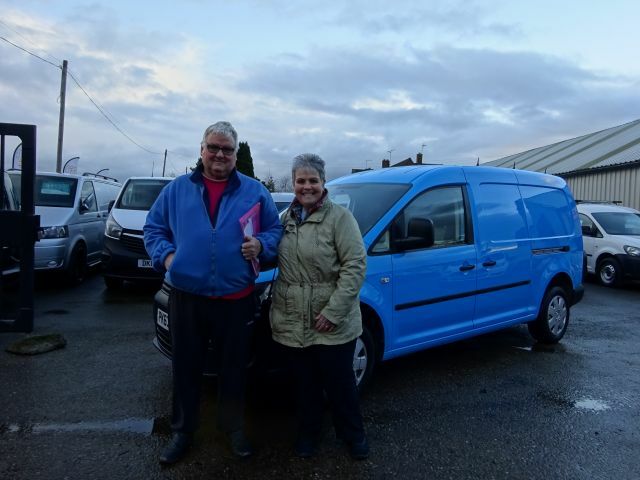 The van was in immaculate condition and delivered early. All in all a great experience. 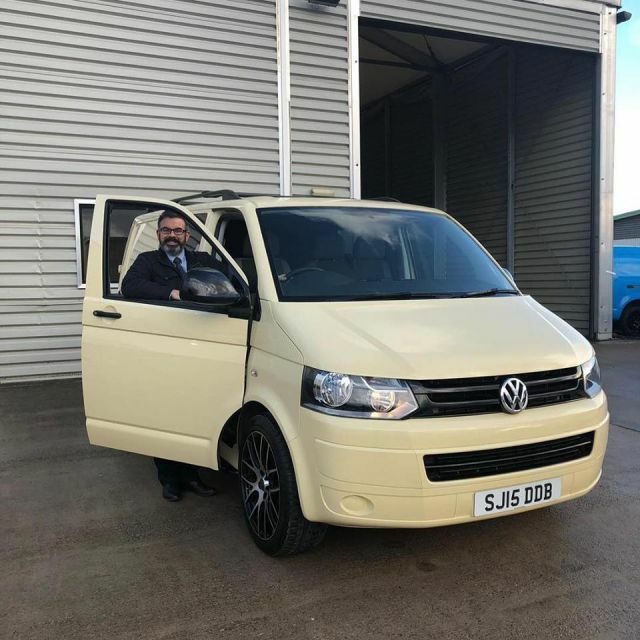 I will update the review once I have had the van for a while but would like to say thank you to all the sales team for all your help stress free. Really pleased with my new van. 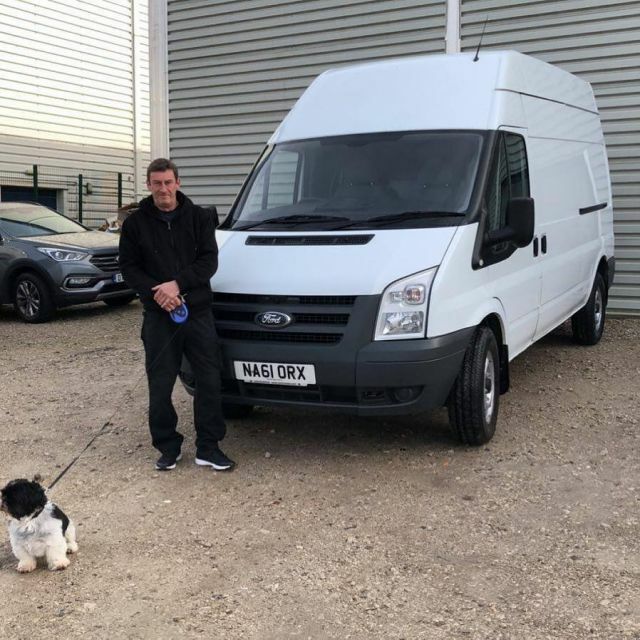 Exceptional customer service, no pushy sales talk from Phil which made for a very pleasant and relaxing search for the right van. Plenty of vans to choose from in all shapes and sizes so spoilt for choice. All vans looked in great condition. Paperwork all nice and simple. 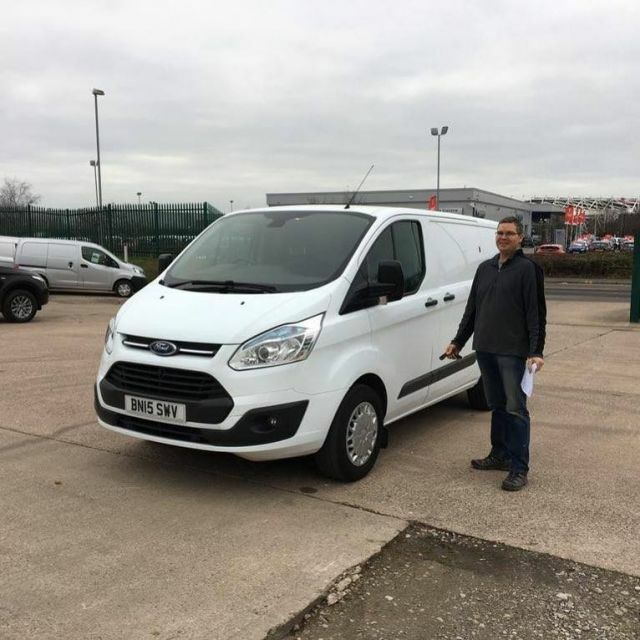 Collected the next day (I was even offered delivery) and the van looked brand new, Cleaned inside and out to a very high standard. I would highly recommend a visit. Went to van national to look at about 6 different vans and that was no problem at all they were very helpfull . 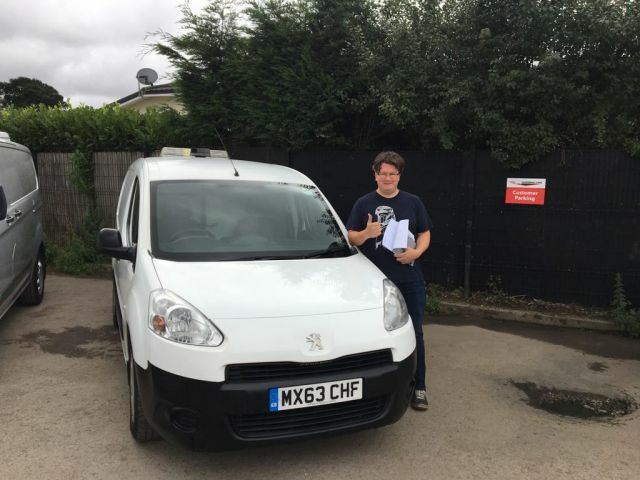 I got a Citroen Berlingo in the end and happy with it . Despite turning up 20 minutes before closing for a test drive! there was no rush or pressure to do a deal. The vehicle a Toyota Hilux was immaculately presented and exactly as described. The purchase process was straight forward and I am delighted with my new purchase. If youâ€™re looking for a van look no further. I purchased a van at van national a month ago. 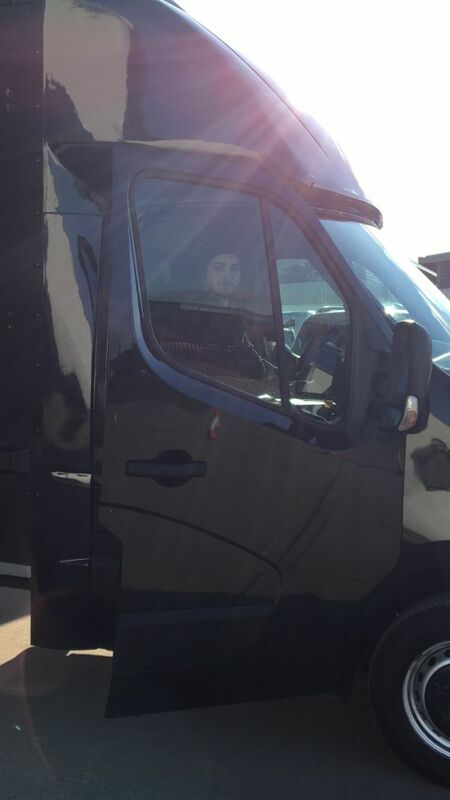 The only thing better than the quality of the van are the great bunch of people who work there. 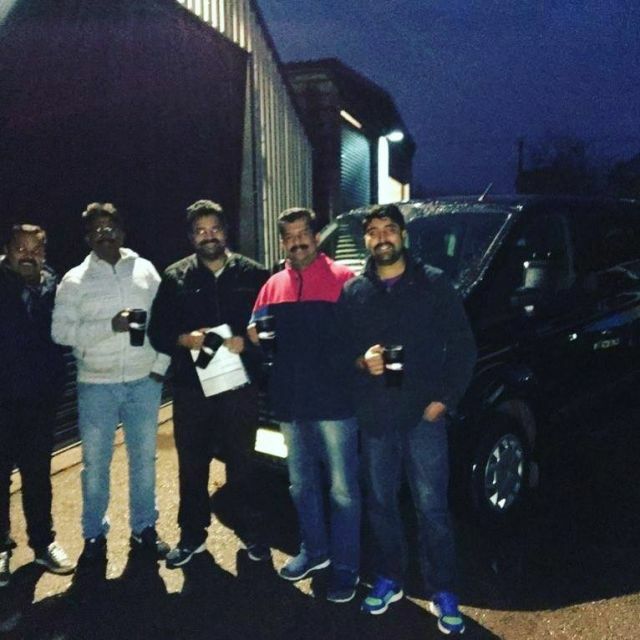 It feels like a family run business and from the time you arrive their friendly and helpful manner makes you feel part of the family. After looking at getting a T5 for some time now I came across Van National, after speaking to Dave I quickly chose the T5 I wanted. This guy couldnâ€™t do enough when going through the whole process of purchasing my van. Absolute top guy and a very professional outfit. 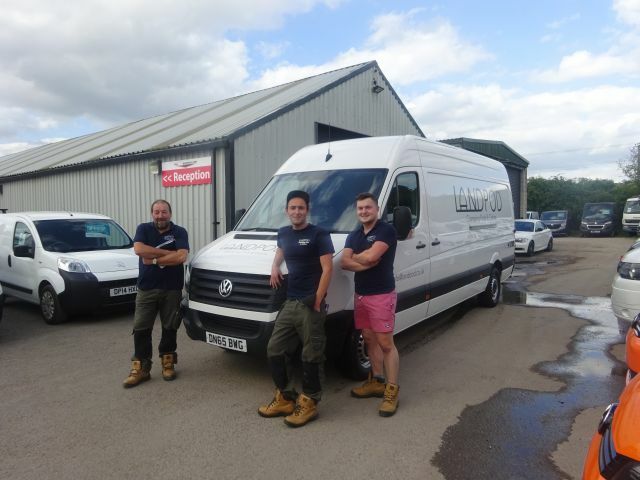 Couldnâ€™t recommend these guys enough if your looking at buying a van. Thanks for making our van purchase an easy job. Everything sorted out computer side of things as we are not very hitech. Lovely and clean inside and out. Never felt under pressure at any time even though we had to wait for our personalised plates to be changed, no hassle. Stickers, pen and vacumn mug for our grandson who just loves anything to do with grandads van! Friendly staff. Attentive. Not at all pushy. Great selection of excellent vehicles. Professional, friendly service, very helpful and knowledgeable staff. Easy and no messing about part exchange service. 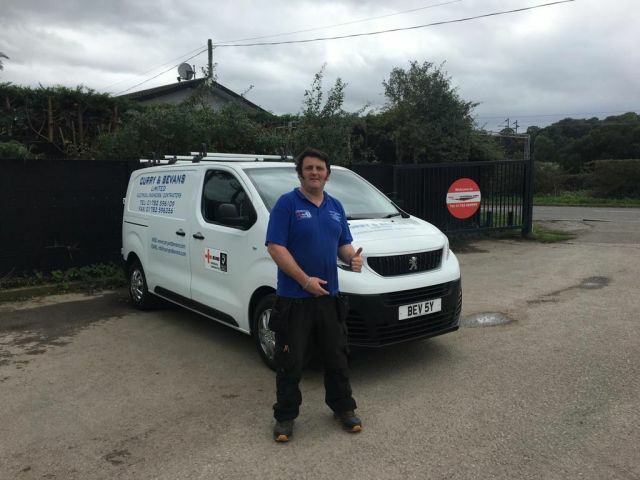 Great all round service and would definitely use again! 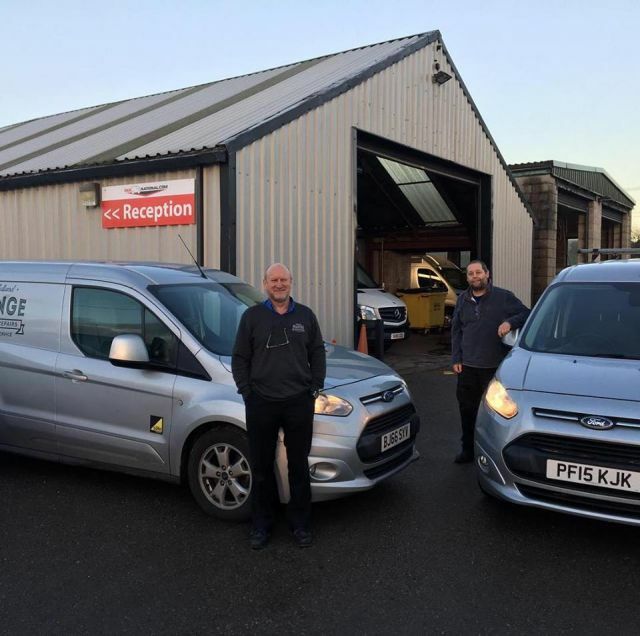 Excellent proffessional friendly customer service from first enquiry to vehicle delivery . Surprised to be given a no obligation test drive with absolutely no pressure whatsover . 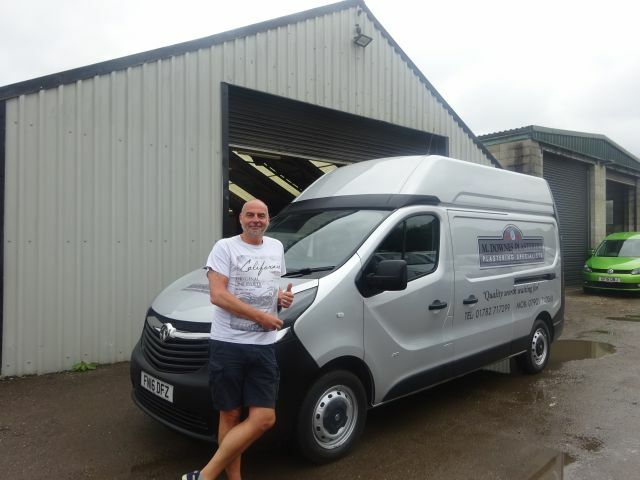 The van was immaculately presented and exactly as described .very pleased with it .many thanks to dave and the team .highly recommended !!!! Just bought Transit 350 from Van National and it was a very professional service from Dave who explained everything with no pushy sales talk. 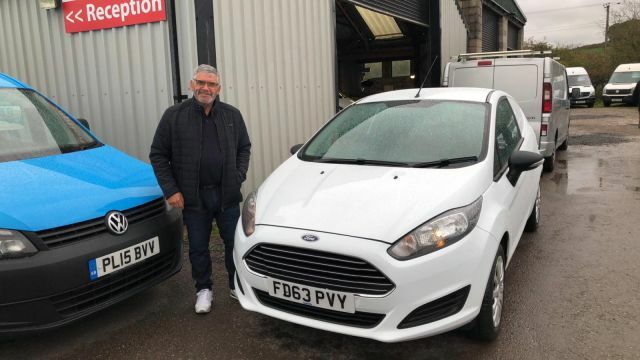 As a salesperson myself I felt Dave identified my needs and made me feel happy with my purchase. I only bought it on Monday but happy so far. There are only three words to describe this company: Excellent, Excellent, Excellent! Even the paperwork was a breeze. Keep up the good work! Will recommend you to all the market traders in Manchester! 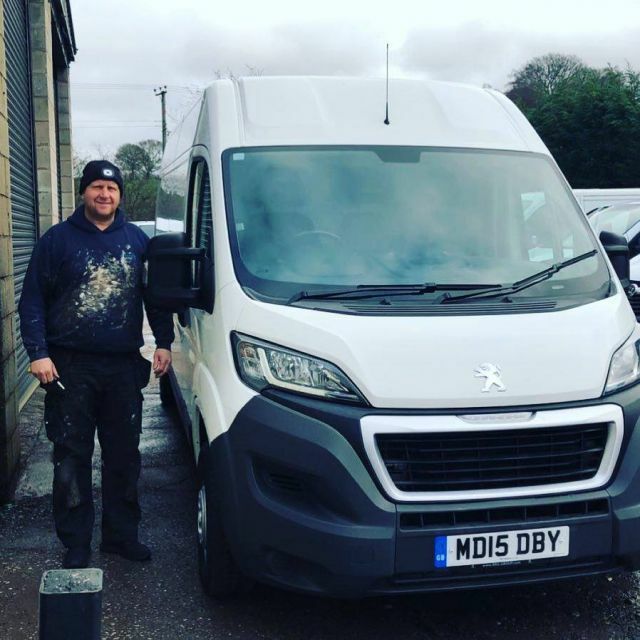 Just recently bought a vaxhall van from here, very impressed with the quality of service I received, very quick process and I am very happy with the van I purchased, would recommend everyone to look here if you are after a van to buy, thank you to Dave and the team for great costumer service, very happy with the van. Plenty of vans to choose from and staff were very helpful. 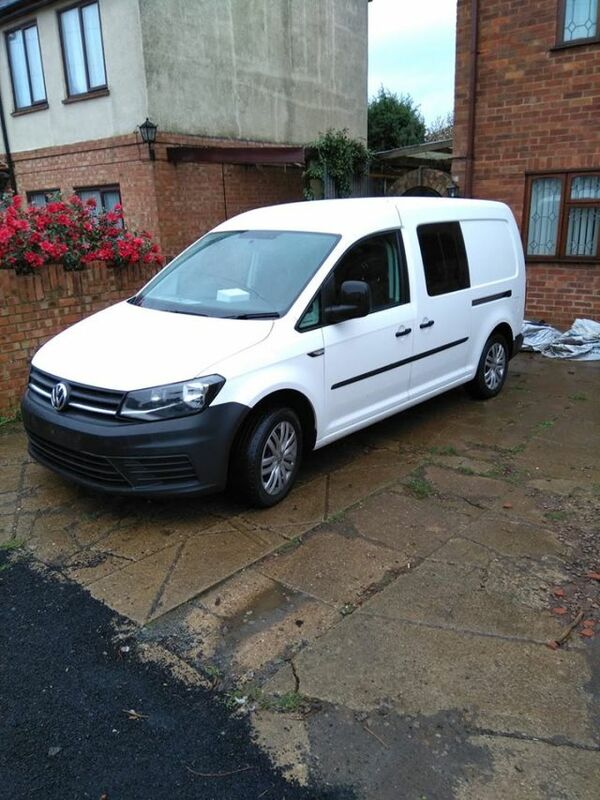 Got myself a great van at the right price and it was ready to drive away same day. I'll be returning to van national for my next van. 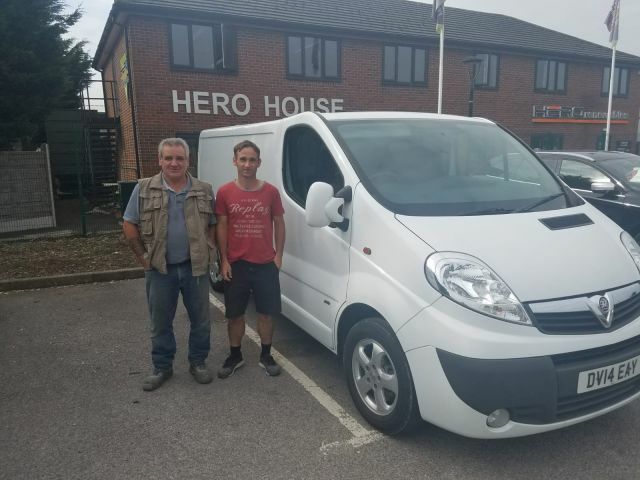 Excellent service , Phil and Dave were really good to deal with. A trusted and friendly company we will use again!. Looking for my 1st van and Van National.com in Stableford had the perfect one for me,a lovely little Citroen Nemo,low mileage, well looked after at a fab price.Went for a viewing and test drive and was offered a very fair price for my part.ex.The salesman sorted the finance very efficiently and was both charming and sincere ( not the usual experience when buying a vehicle elsewhere).My van was delivered at the time of my choice.All in all an excellent experience by very professional people.Thanks guys. Good sound lad and company. 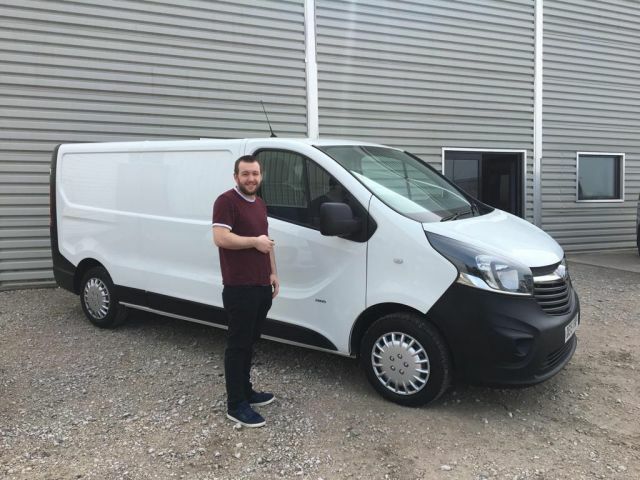 I drove 2 hours down from Leeds to buy a van. I was a little apprehensive going that far not knowing whether I was getting what was advertised. It was spot on the AutoTrader description and I was given a copy of proof that MOT failures had been fixed which gave me reassurance. Super friendly and easy to deal with. The only advice I would give to other buyers is to use a personal bank loan rather than car finance as it can be much cheaper if you are going to use finance to purchase the vehicle. 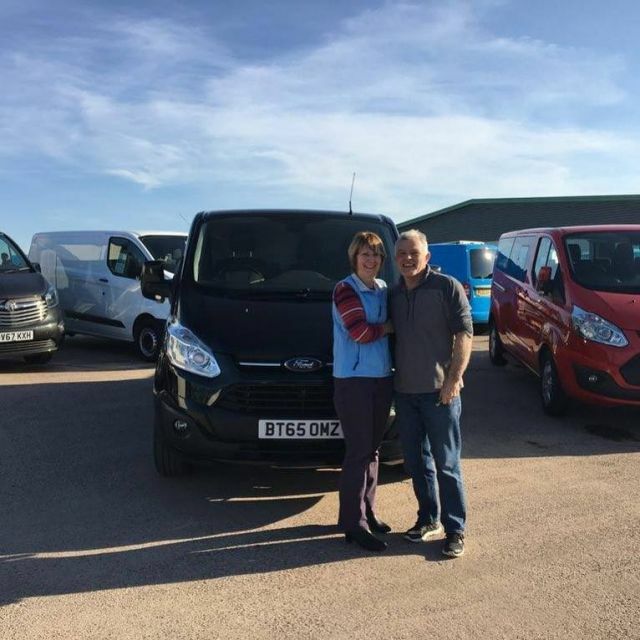 Bought my van from Van National the whole experience from start to finish was excellent, thanks Phil for your help and advice. Couldnâ€™t recommend Van National enough. 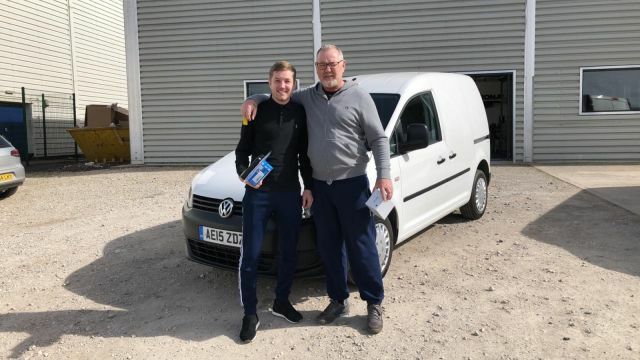 Just bought my Transporter from Van National, Phil Matthews is a pleasure to deal with, he made the transaction so smooth, the deal breaker was my wife liking the drive, he had the van valeted before she took it for a test, I've never had that done in all my years buying. My part exchange was a breeze and he didn't panic when my private reg transfer delayed the V5 by 3 days. Bought a very clean Fiat Doblo from here. No pressure to buy, test drives available and a deal done quickly. Buy with confidence. Phil is a top bloke...very professional and attentive. First class company all round...!!! 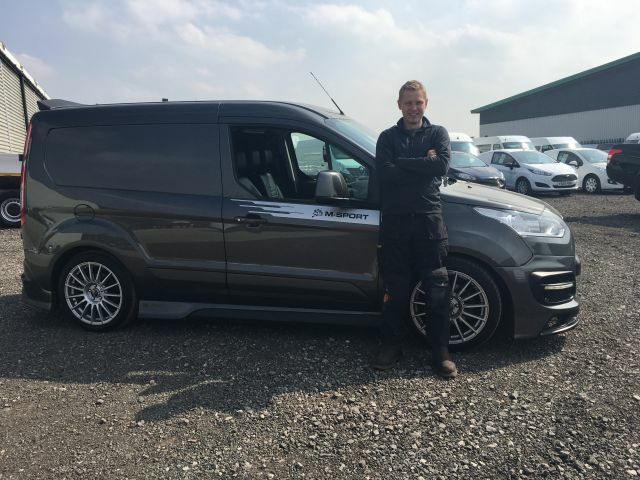 Exceptional dealers.just bought my new van from them, had about an hour walking round on my own without any pressure from salesman.had it delivered next day.this is the only place I will be buying from in future. 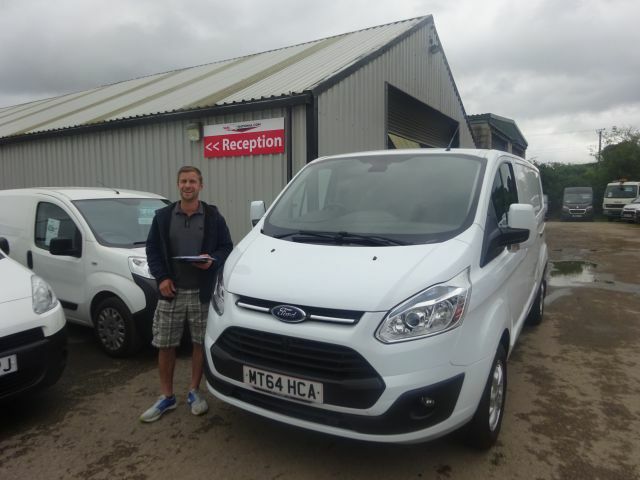 Just purchased a Ford Transit which matched our requirements perfectly and was already to go. 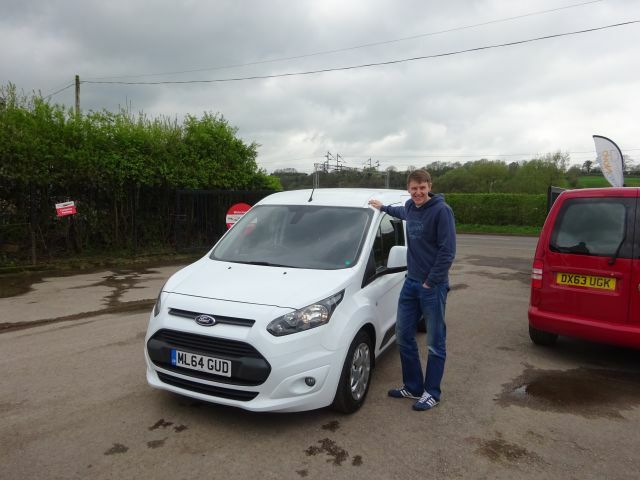 The Vehicle was exactly as described and Phil was really helpful. Would definitely recommend to anyone. Thanks. Phil was a pleasure to deal with. No pressure sales tactics at all - unlike some places. Everything was very open and honest. we were even allowed to take the van back to our workshops to put it on the ramps and check it over prior to buying. we have only had the van a short while and experienced no problems whatsoever. 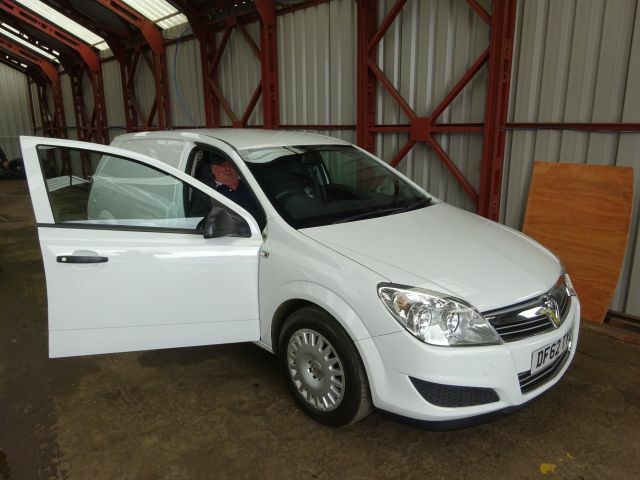 It is a vehicle ideally suited to our requirements and picked from a very good choice of stock. 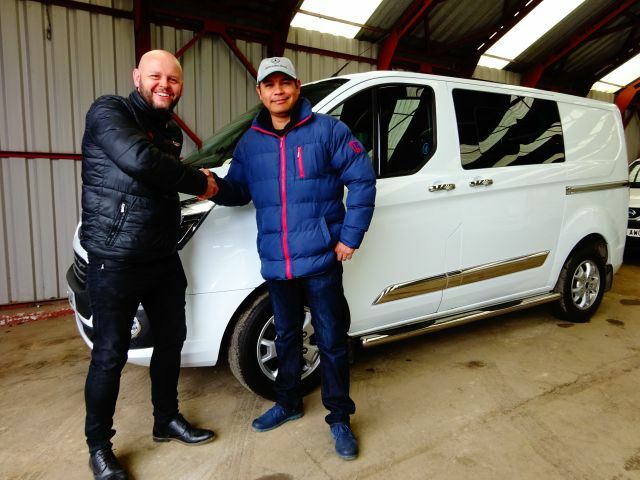 I would have no hesitation in recommending Phil and Van National to anyone who requires a quality used van, either for business or personal use. Thanks! 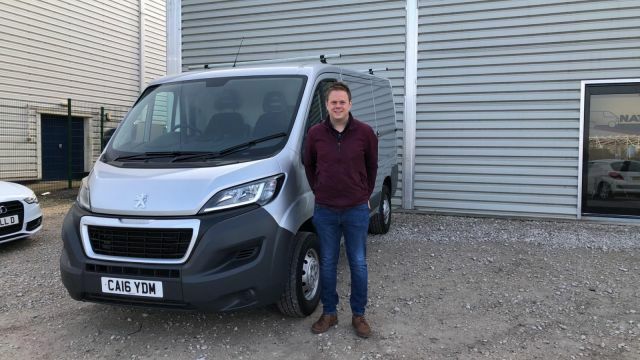 Just bought a peugot van of phil in van national.very pleased with it & it was all as advertised. Also customer service was excellent.would highly recommend. We have just had 3 van of these guys, good service, fair price. 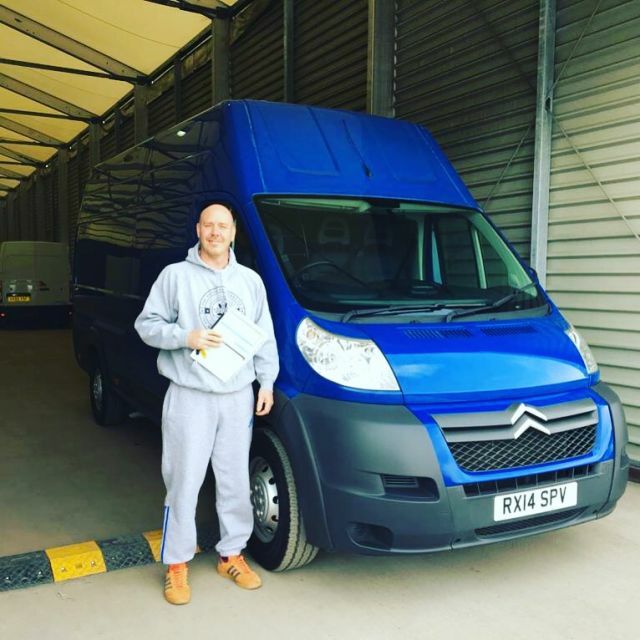 Only just got my van off Phil and his team and had a really good experience. No hard sale, a good price and the vehicle very well prepared for pickup. 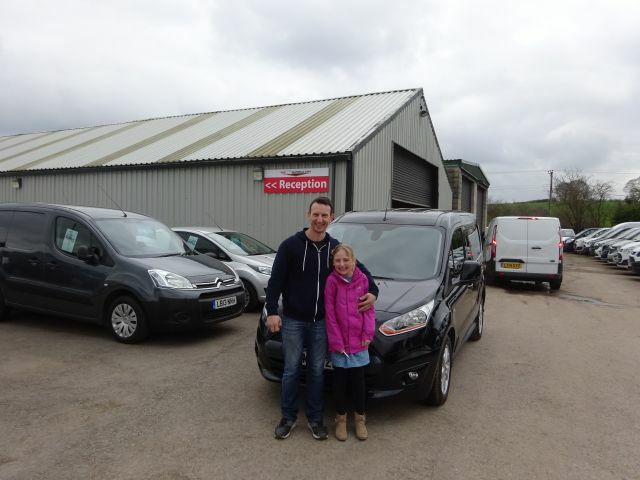 Excellent service, the van we purchased was exactly as advertised and the delivery service was superb. Would highly recommend. I've waited for two months since buying my Toyota Hilux so I could give a more considered review. The viewing and subsequent purchase were faultless and pleasurable thanks to Phil's relaxed no pressure style. The van was so clean you'd have thought it was brand new! My use of a pickup is as a base vehicle for a demountable campervan and it has proved to be excellent for that role, taking the constant weight well on the suspension we have now done 2000 faultless miles. I did have concerns that the displayed mileage on the clock was too low for the year but so far there have not been any issues and I can thoroughly recommend this company. They gave us a fair trade in price on our old van as well. Really easy to deal with, everything done over the phone and email. 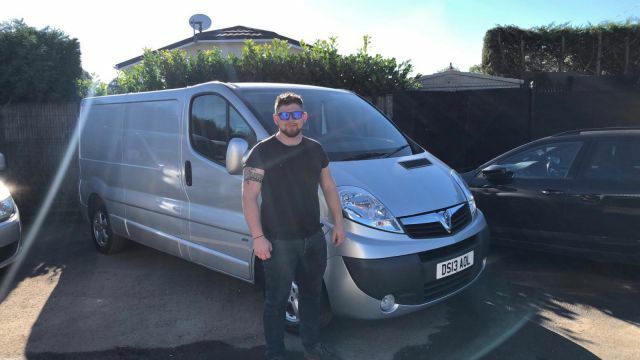 Van as expected and described and delivered bang on time, Traded my old van for a good price. No hard sell. A good quality dealer. 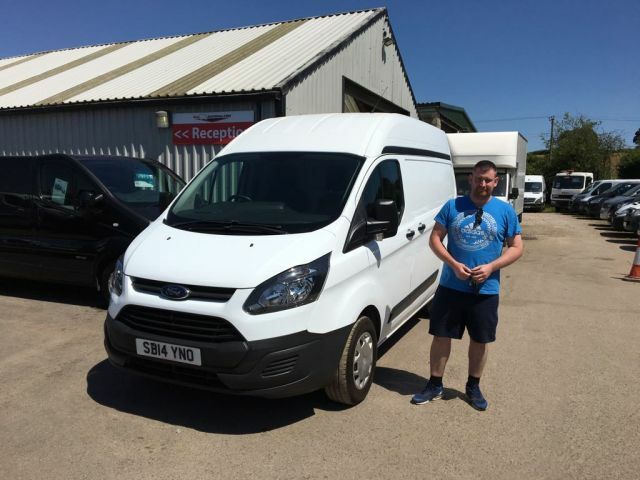 Brilliant service, Phil did a great job of getting everything ready so we just picked up the van. Hassle free would recommend anyone looking of a van pop down to see them. Would definitely recommend van national! Quick and easy! The van is in mint condition. 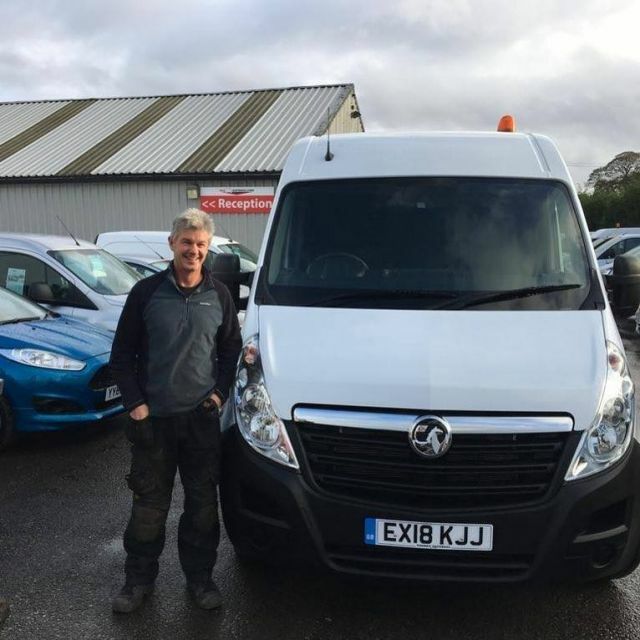 Excellent service from Phil, very well presented van would certainly if needed would buy another vehicle from these people. Very professional and a very good mug of coffee. 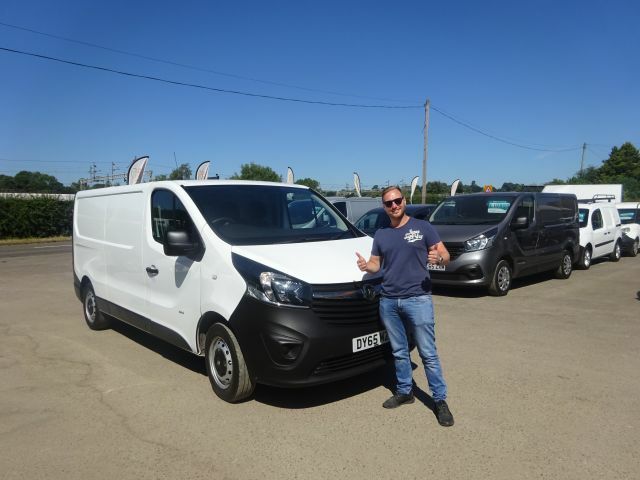 i would highly recommend Van National to anyone thinking on buying a van. the staff were really helpful. i had a fiesta van, it was immaculate inside and out. it was so clean you could of ate your dinner off the clutch pedal. very professional, thank you for a great experience!!! Really pleased with our purchase.Excellent service really helpful and even make a great cup of tea. 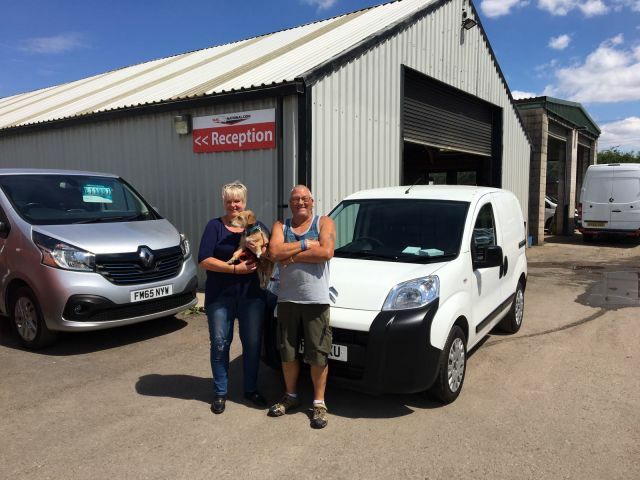 Visited to view a particular Renault Kangoo,Phil was very pleasant, no hard -sell, he was knowledgeable and friendly. 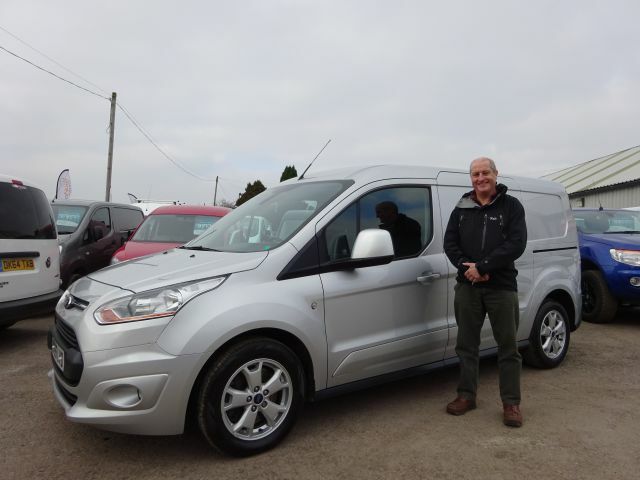 I part exchanged my runabout for a fair price and the van was in my opinion competitively priced. 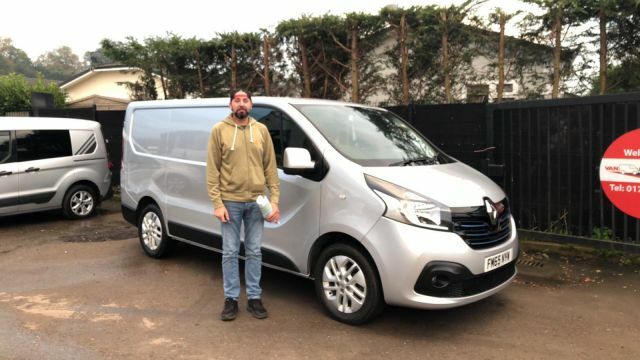 Arranging finance was totally hassle free.I had the van taxed before collection along with a service and I am very happy with my purchase. 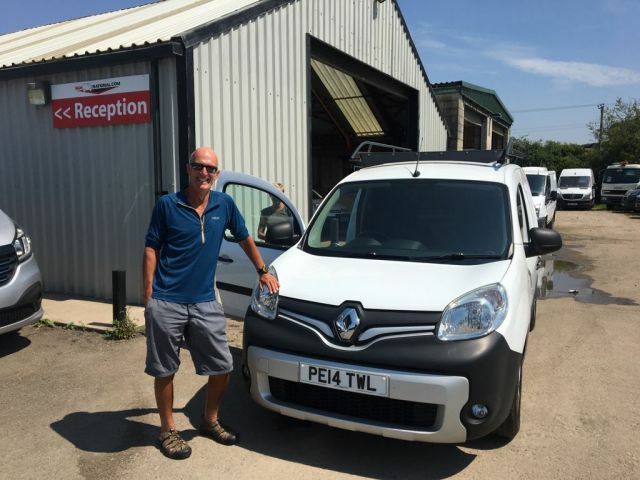 I have found a few minor problems , Phil was more than happy to rectify these,however,as the van is still under the Manufacturers Warranty I am letting Renault look at it first, when im due to upgrade in the future I will definitely consider van national range of vans. I Bought a 2014 tourneo connect in June. 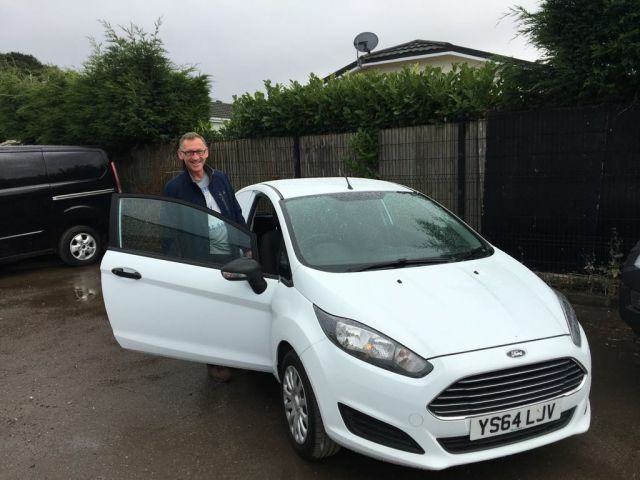 Phil and the team were extremely helpful and offered a good price for part exchange. Really pleased with the van. I have been getting my vehicles from Richard for 20 years now. I have never any issues and he and his team have always looked after me very well. If he's not had the vehicle in stock he's always managed to source what I needed.